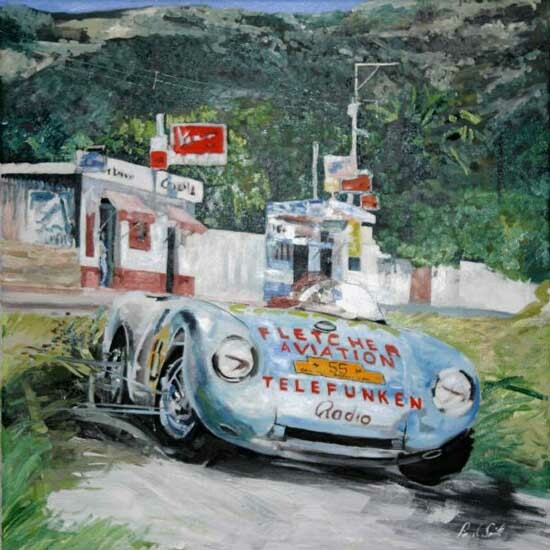 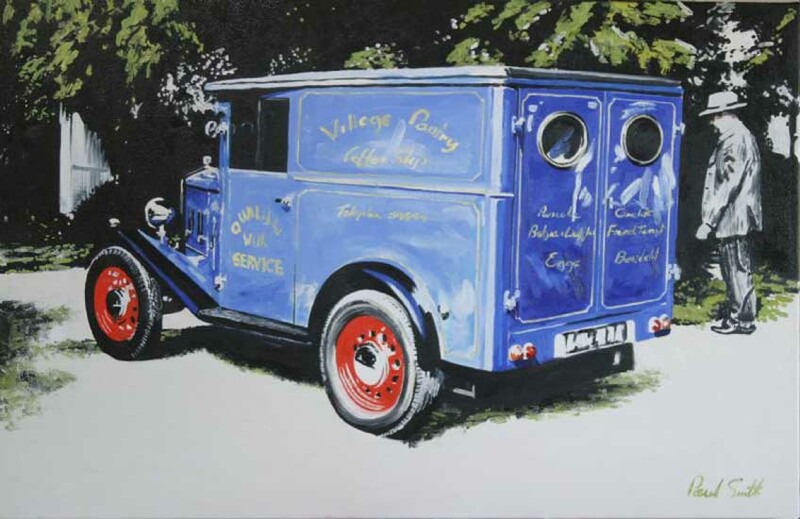 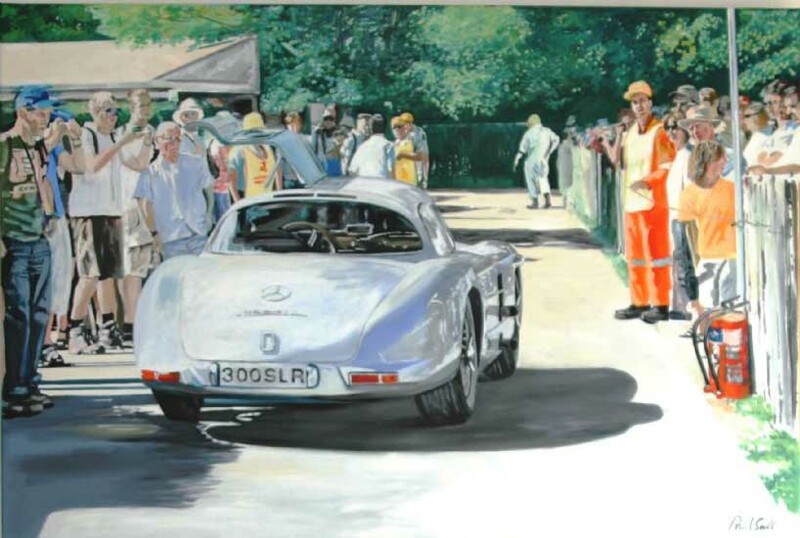 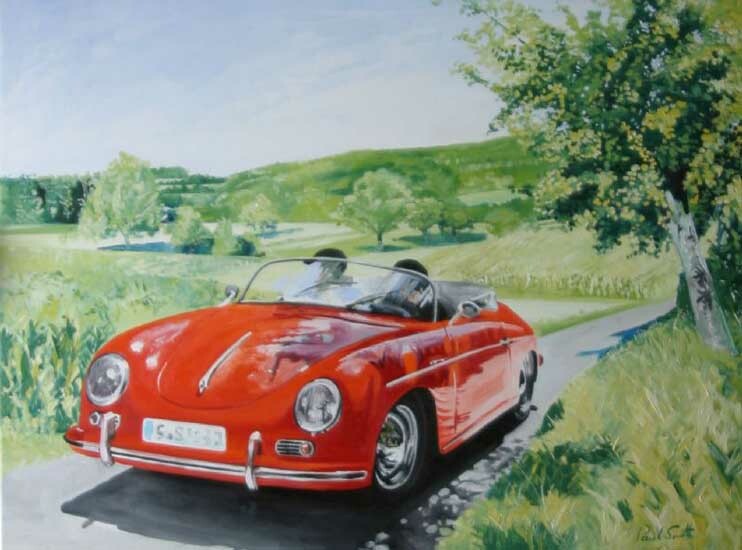 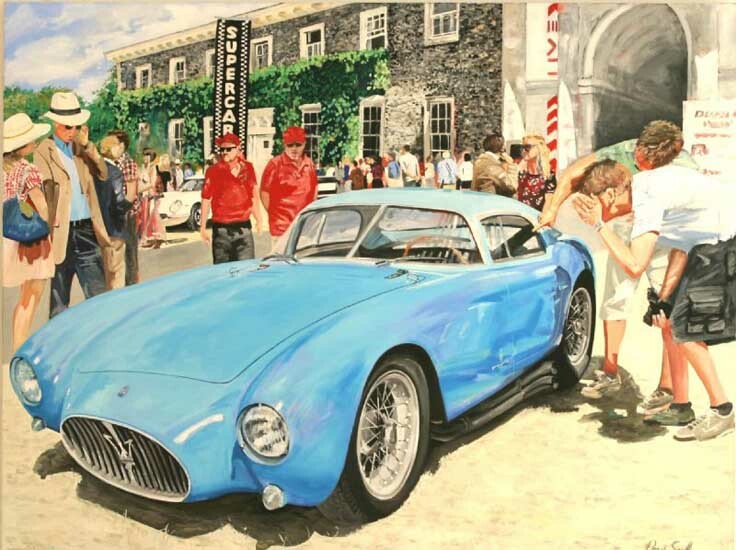 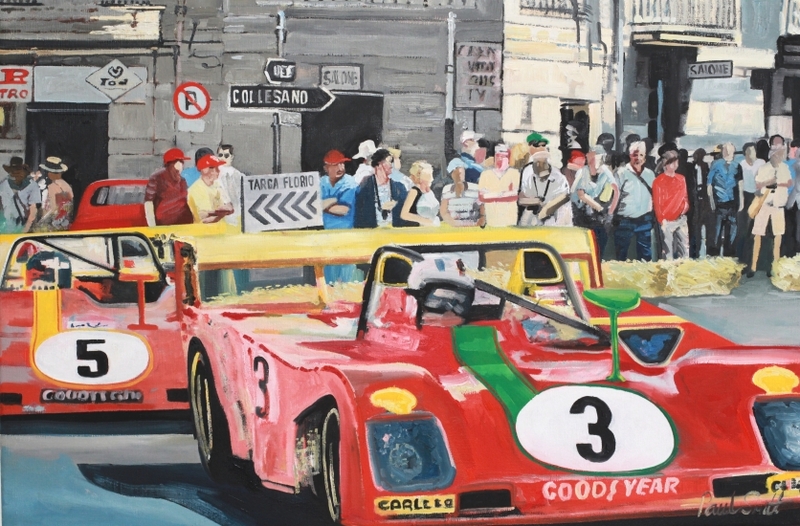 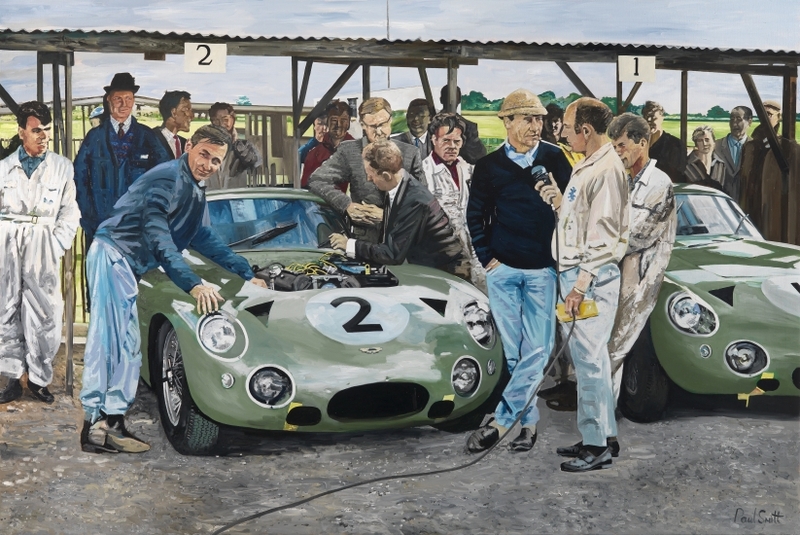 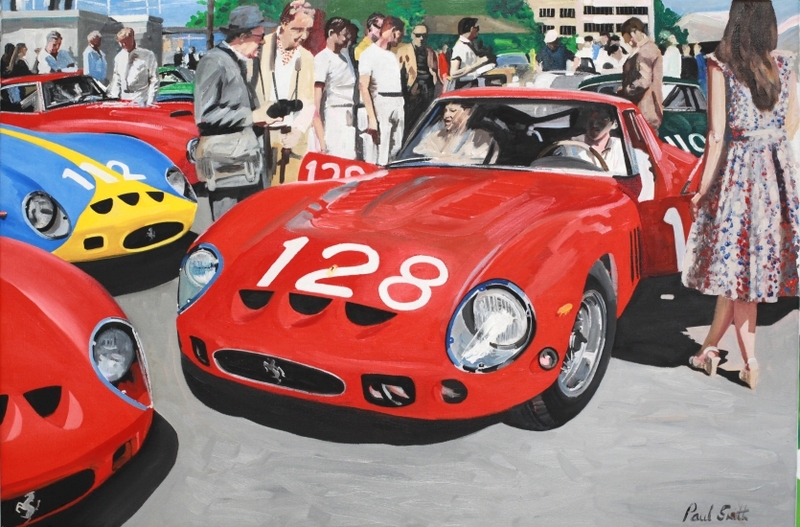 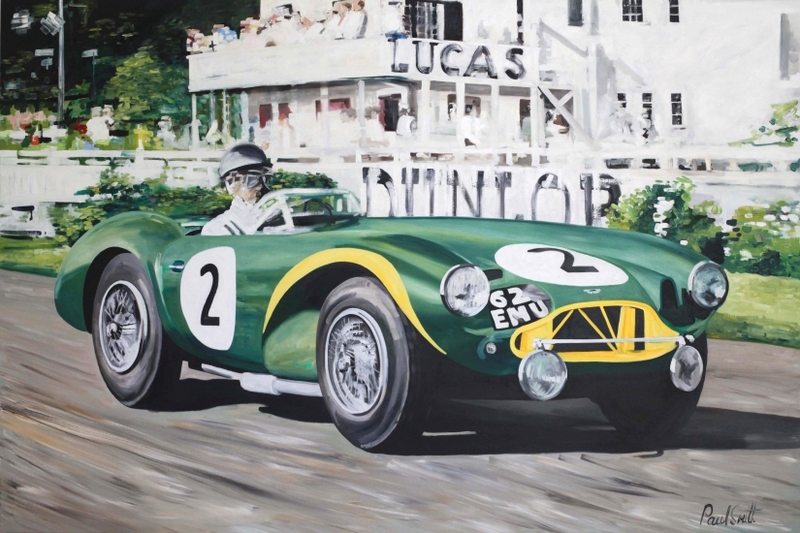 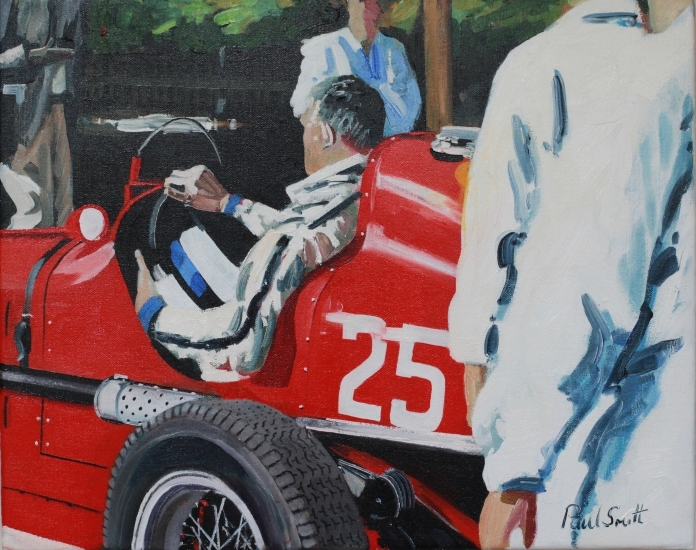 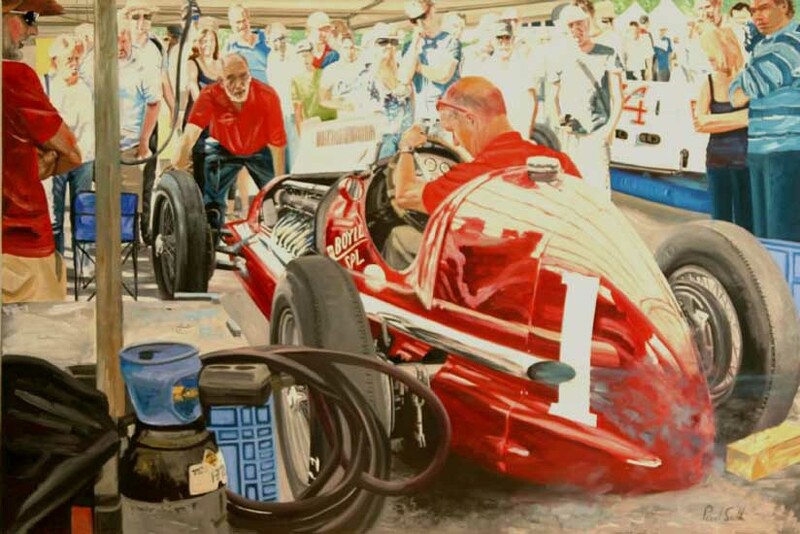 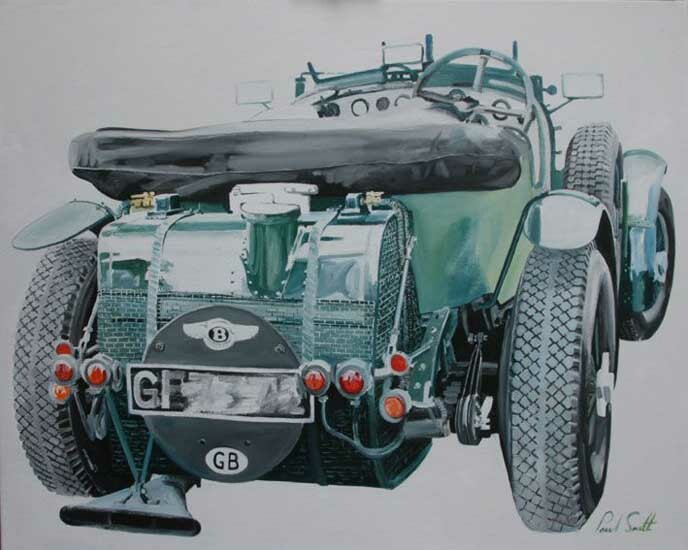 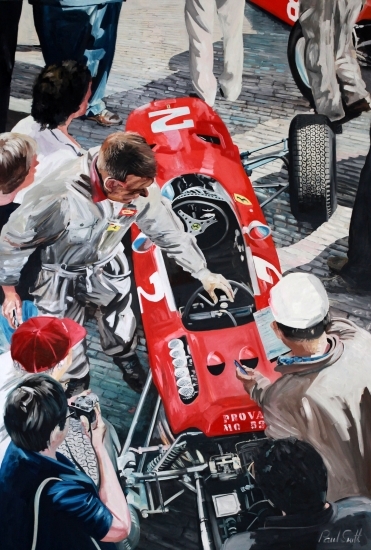 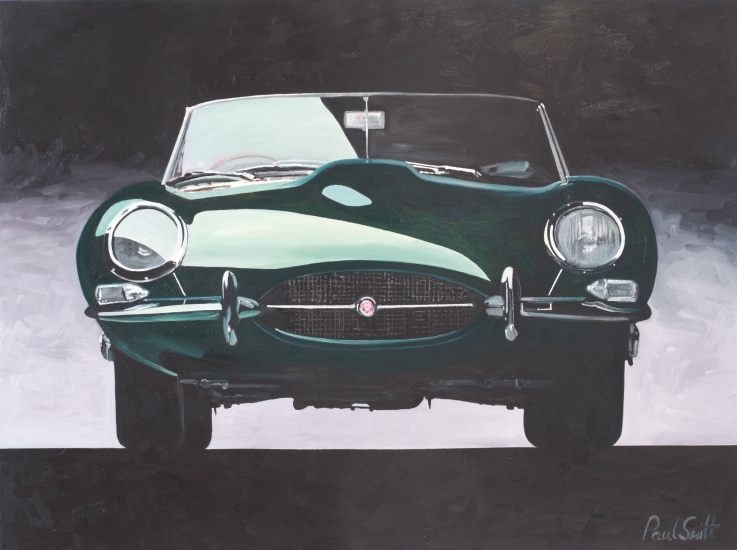 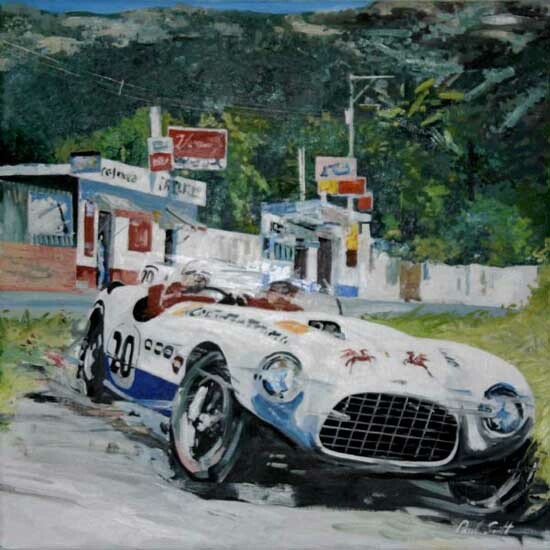 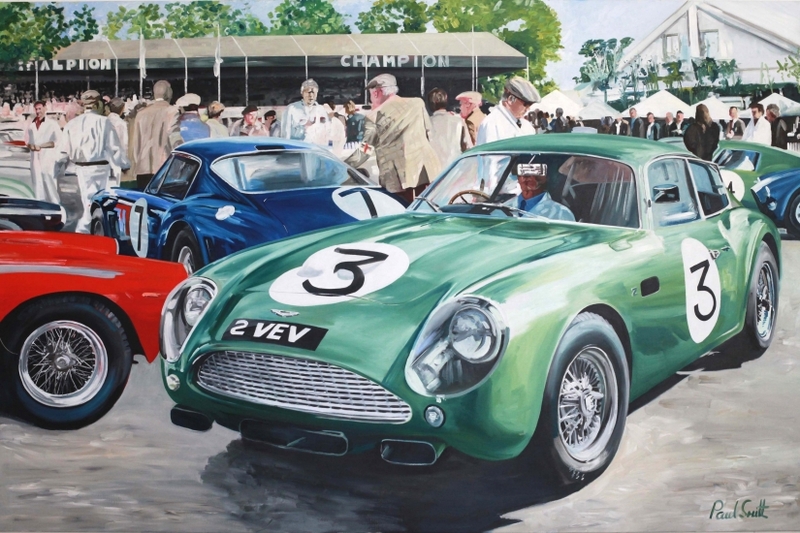 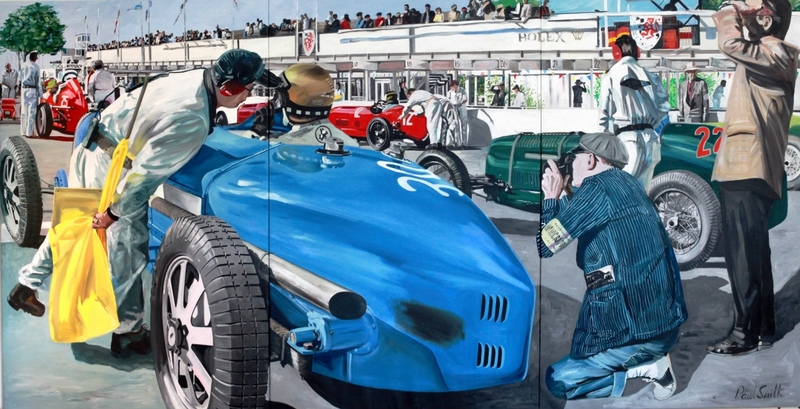 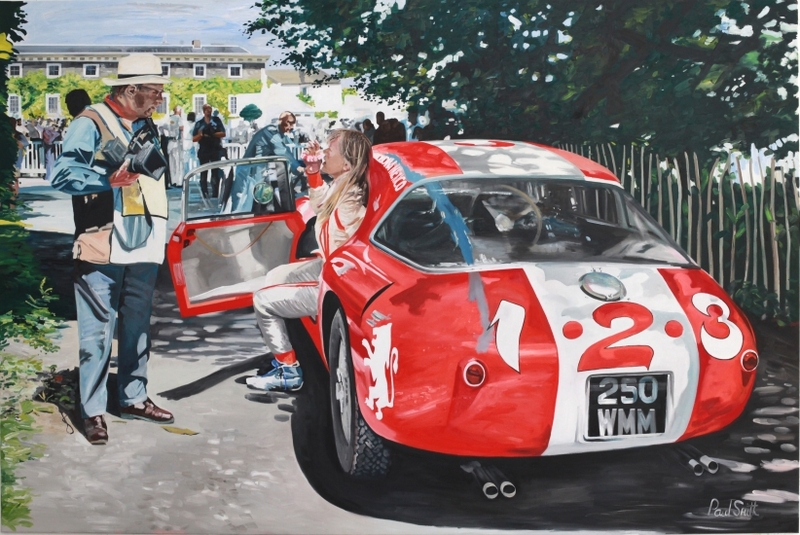 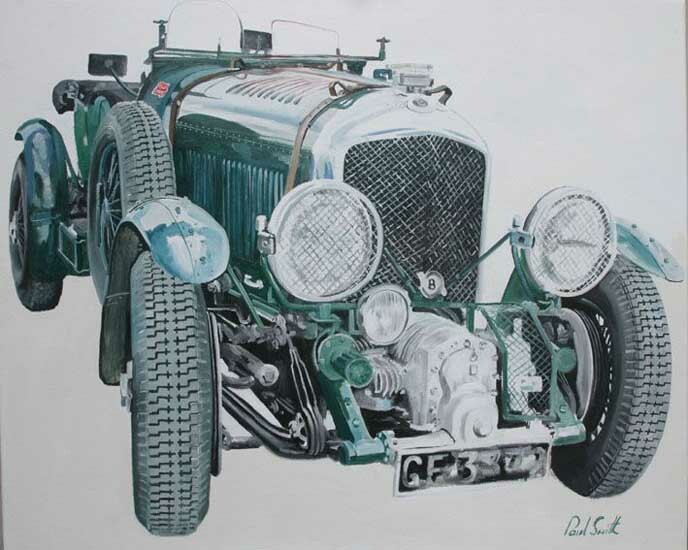 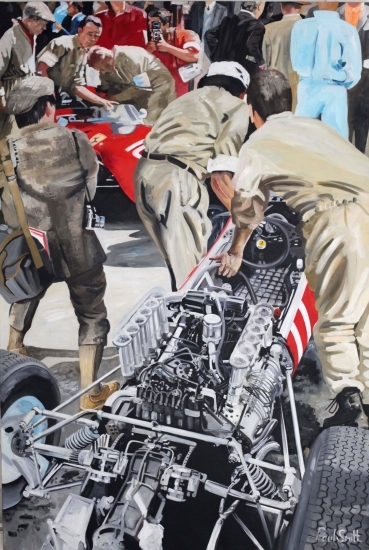 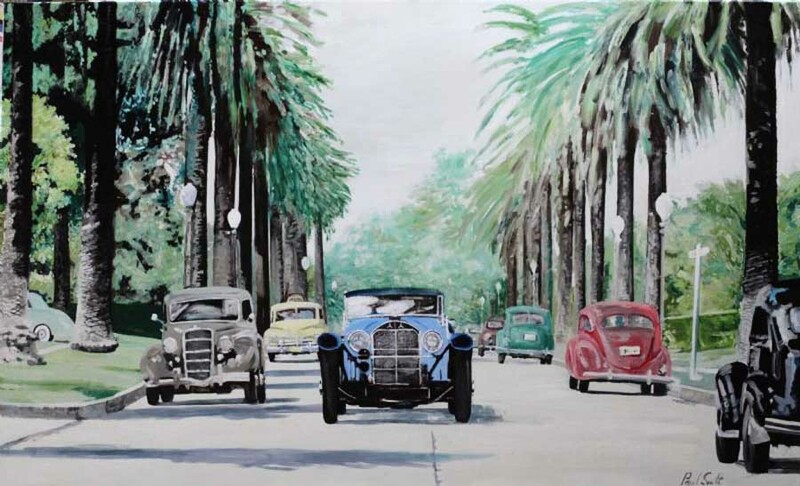 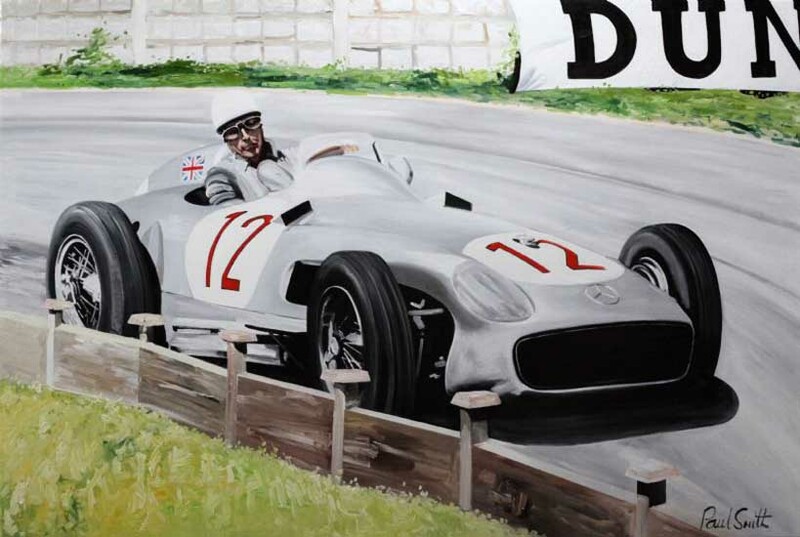 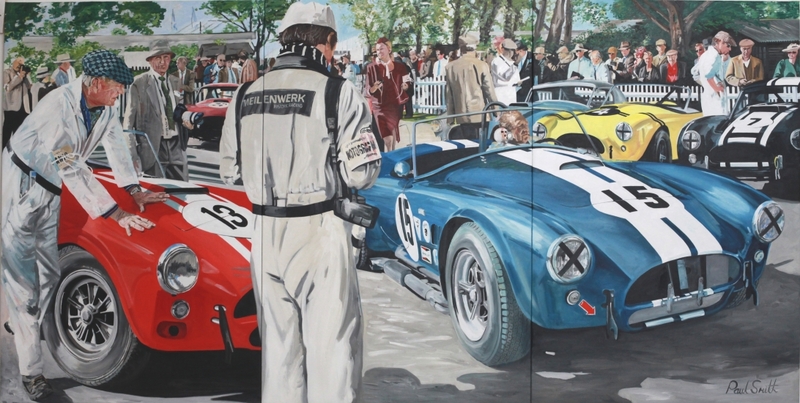 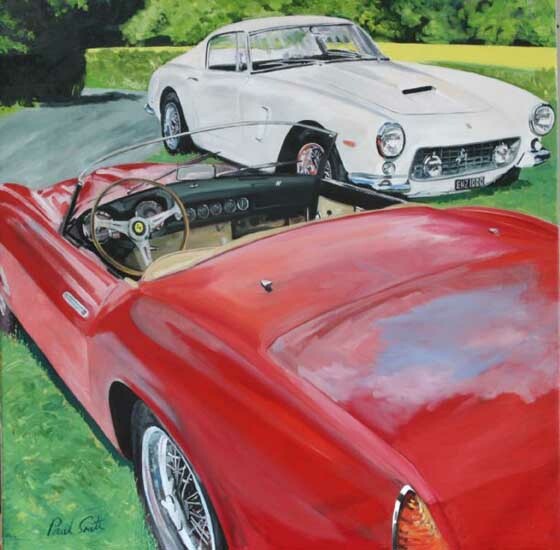 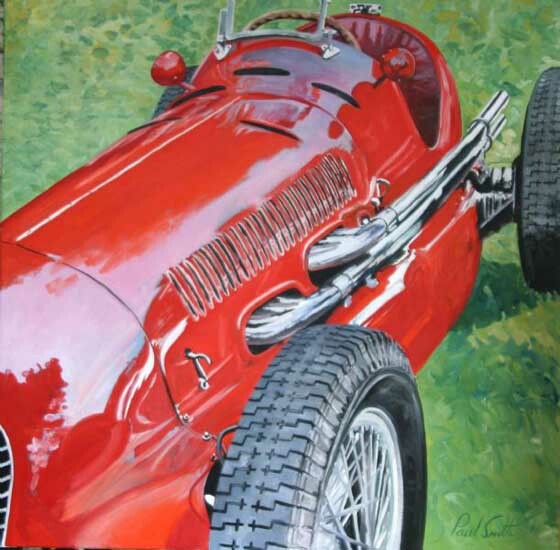 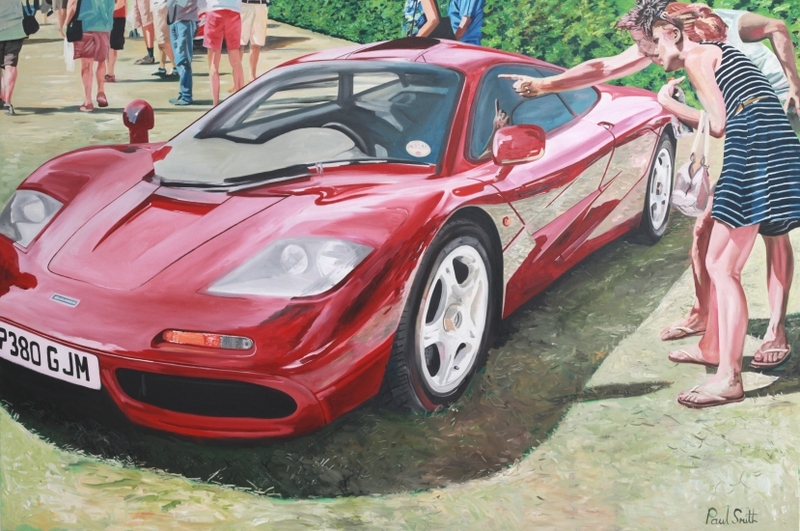 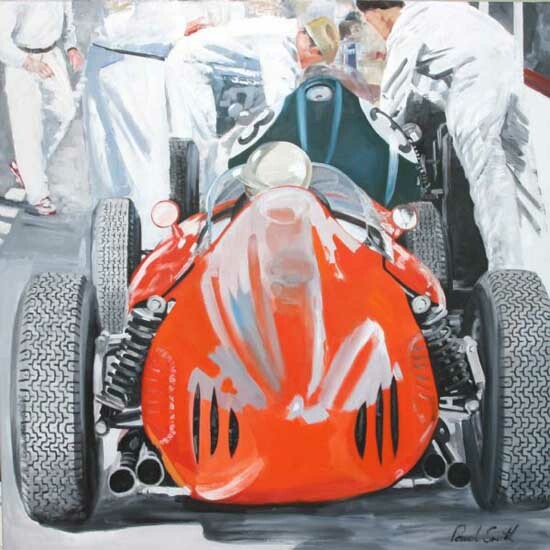 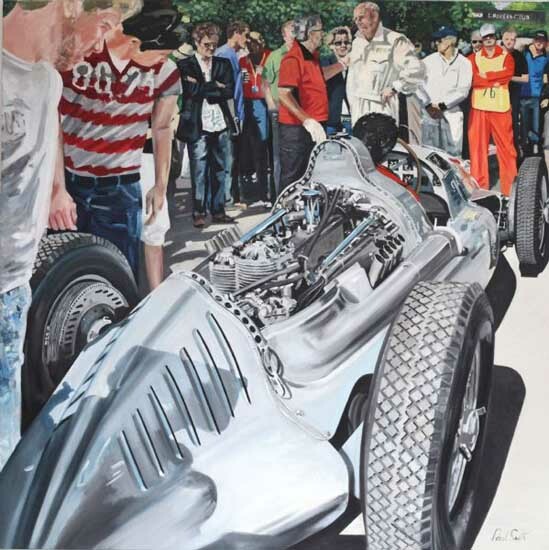 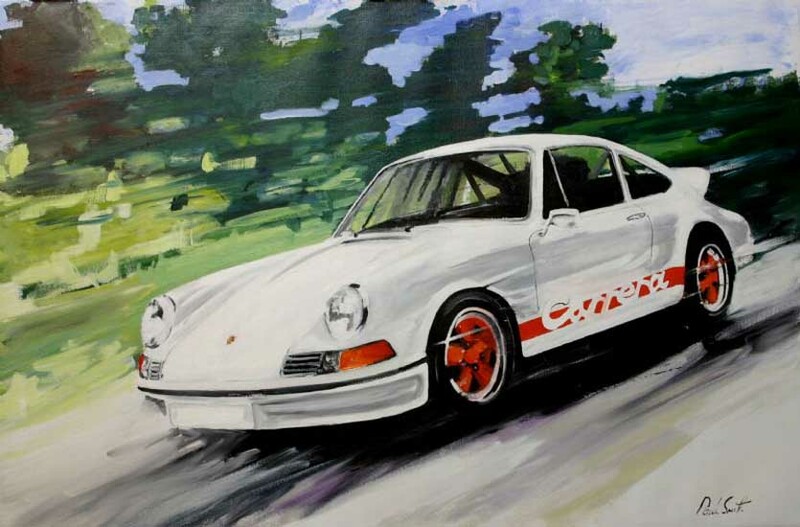 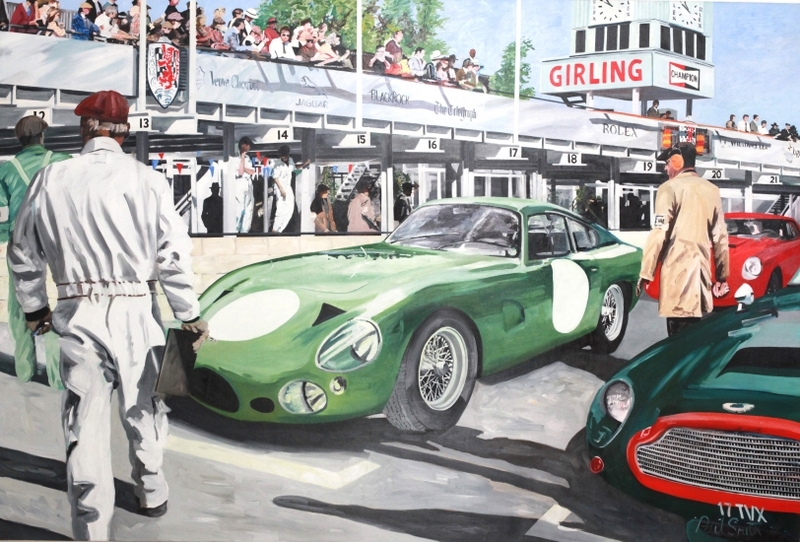 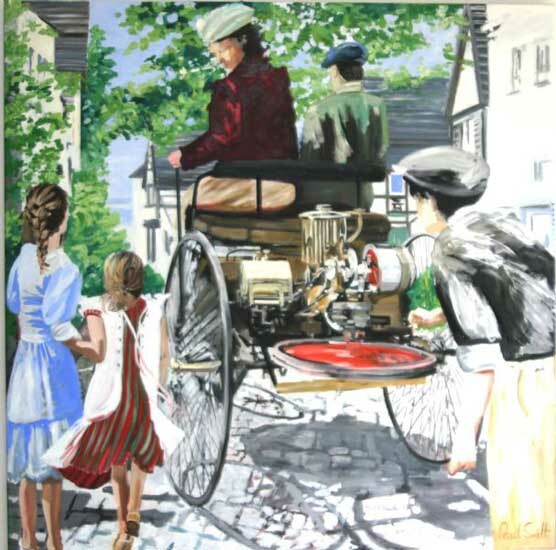 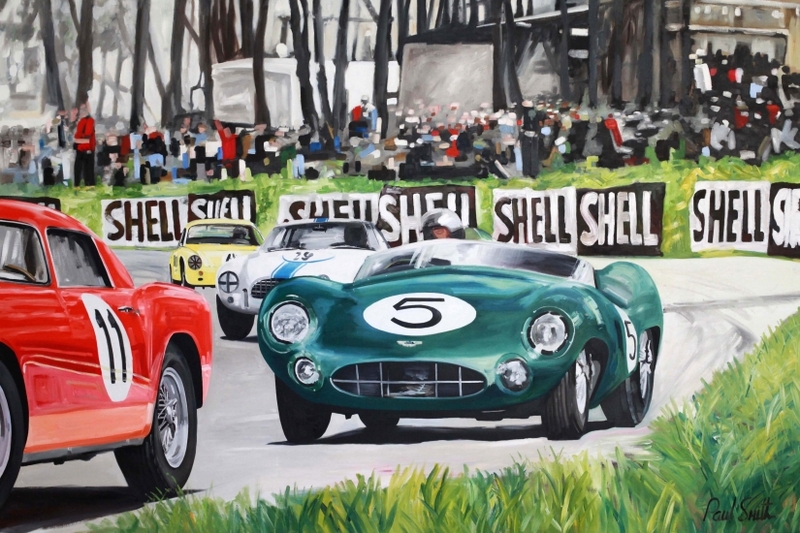 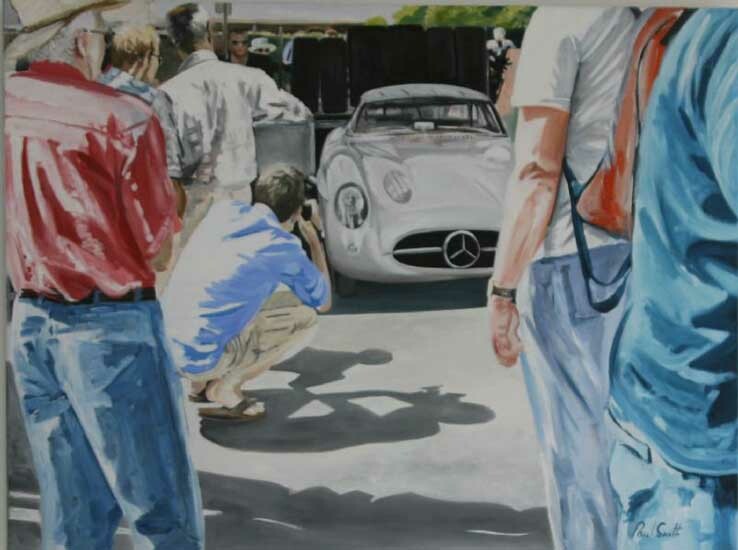 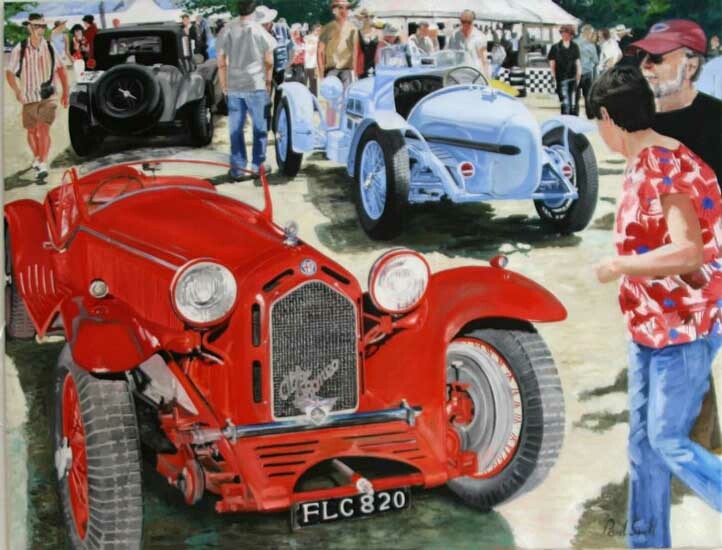 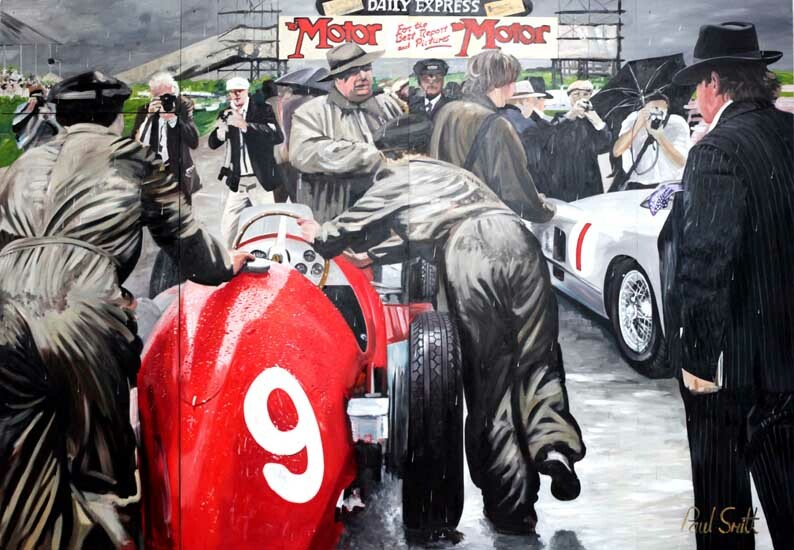 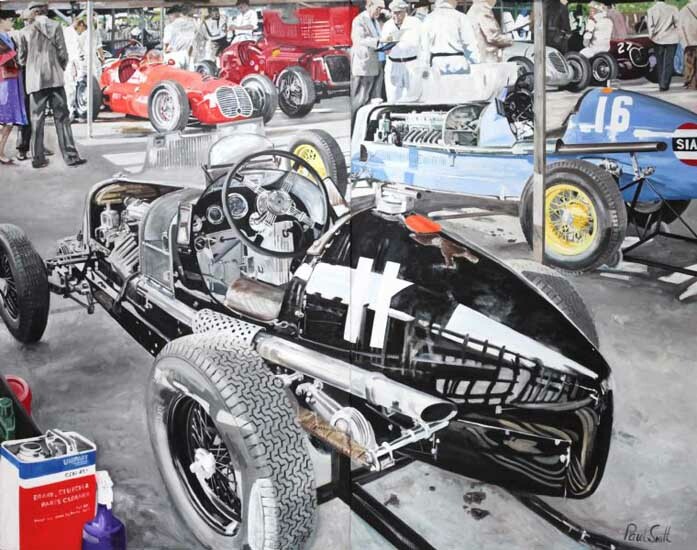 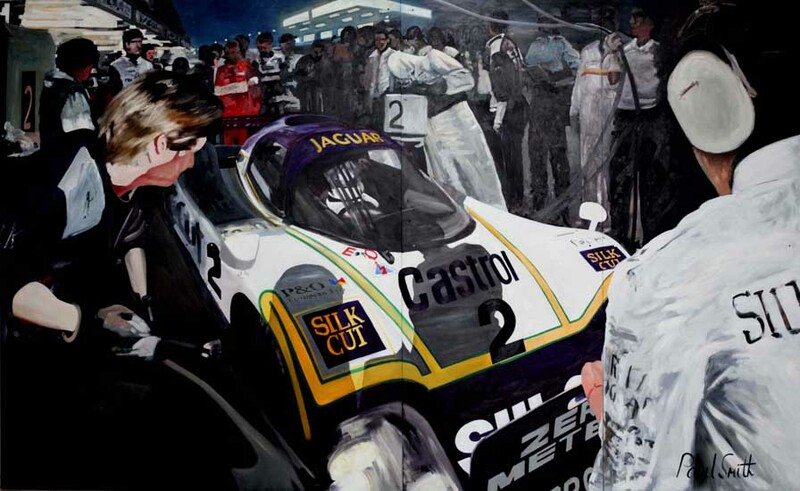 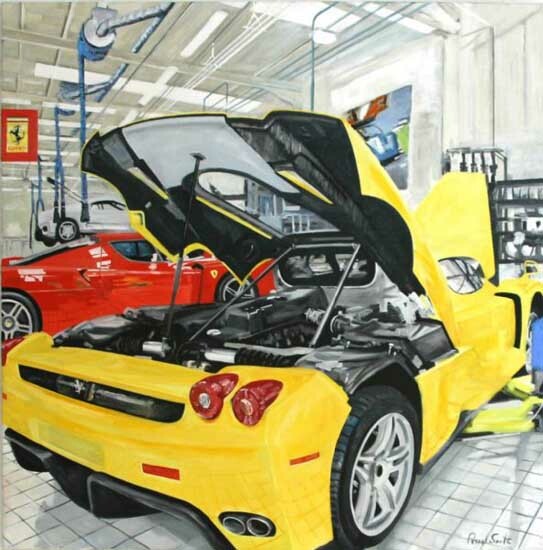 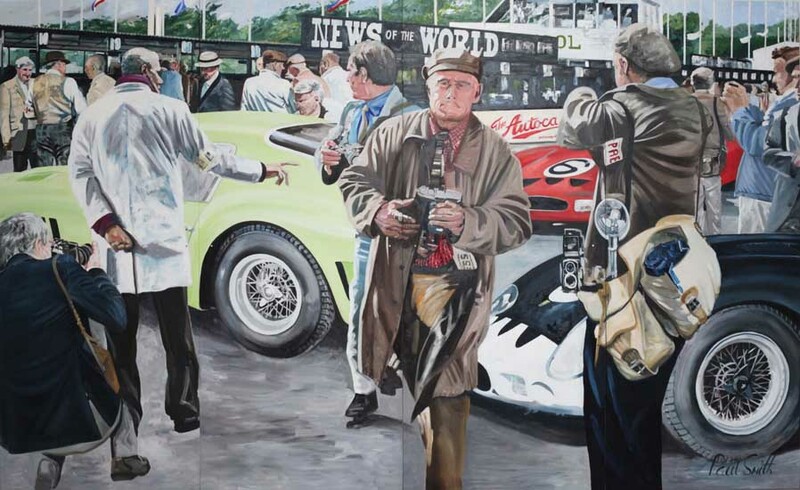 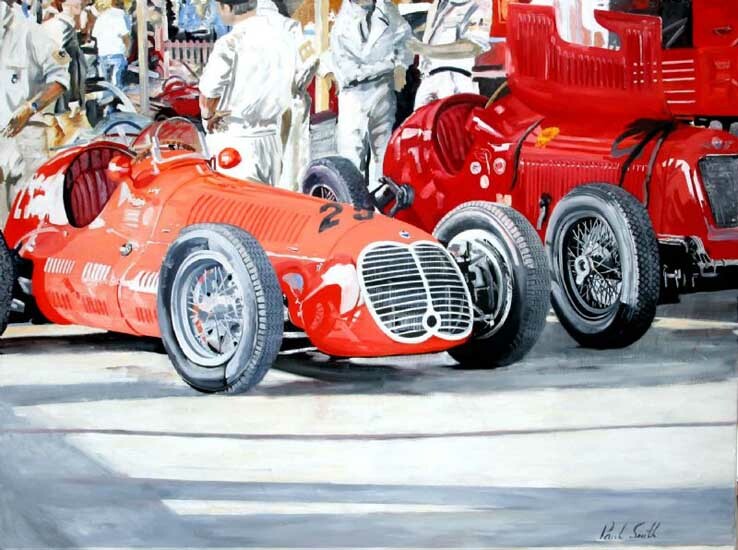 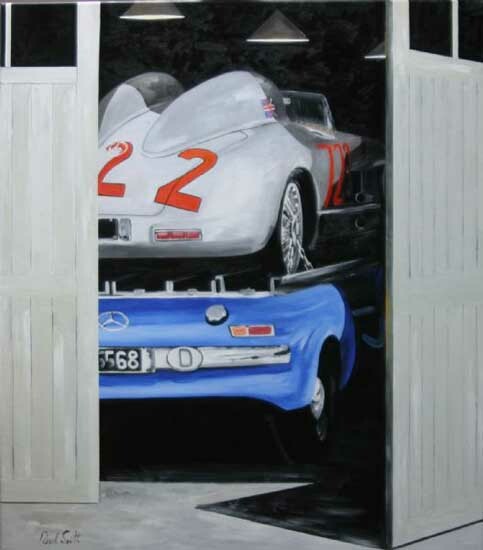 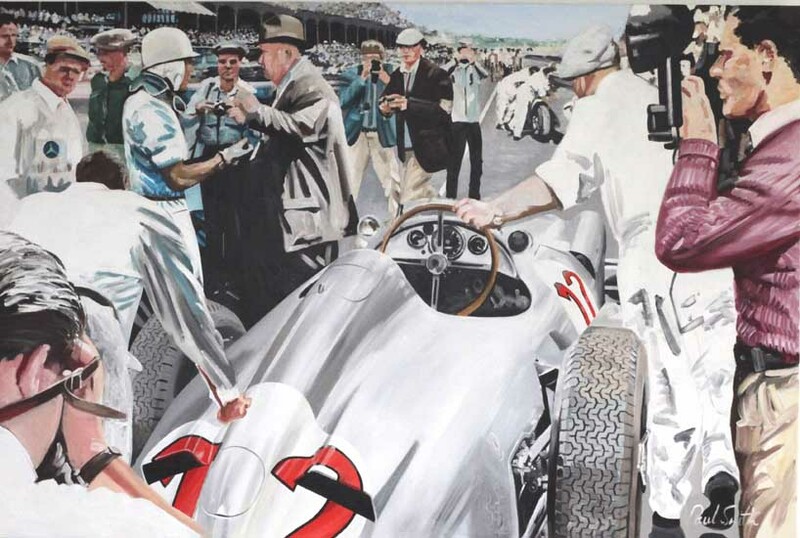 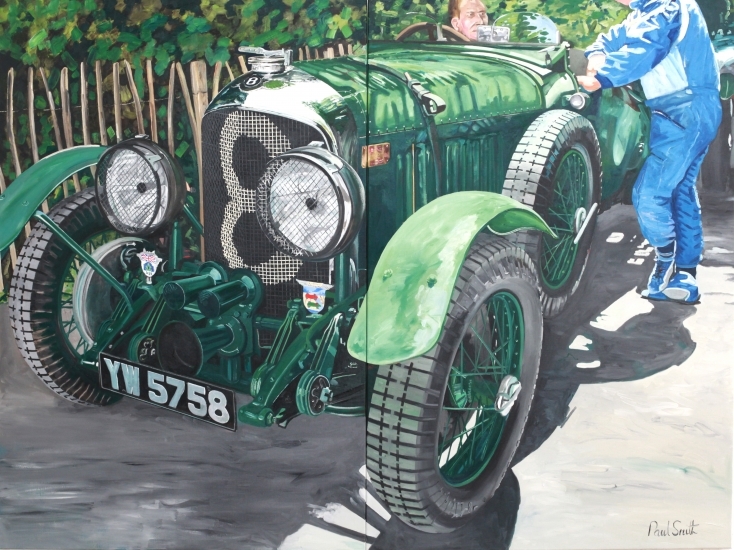 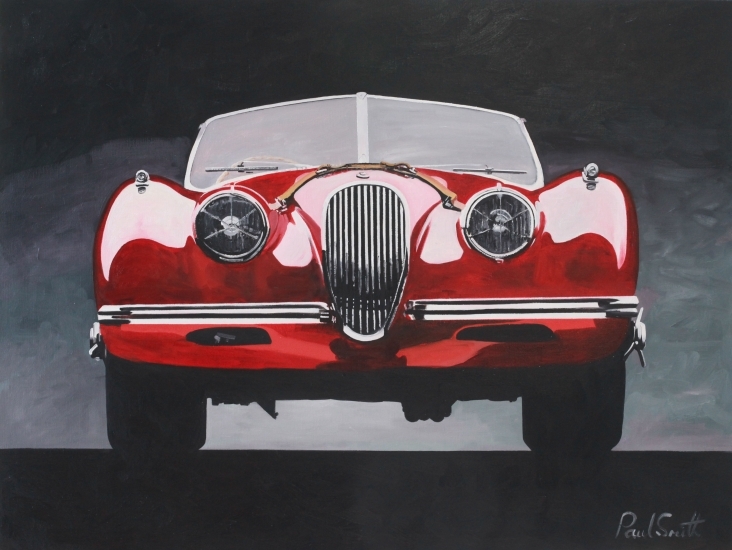 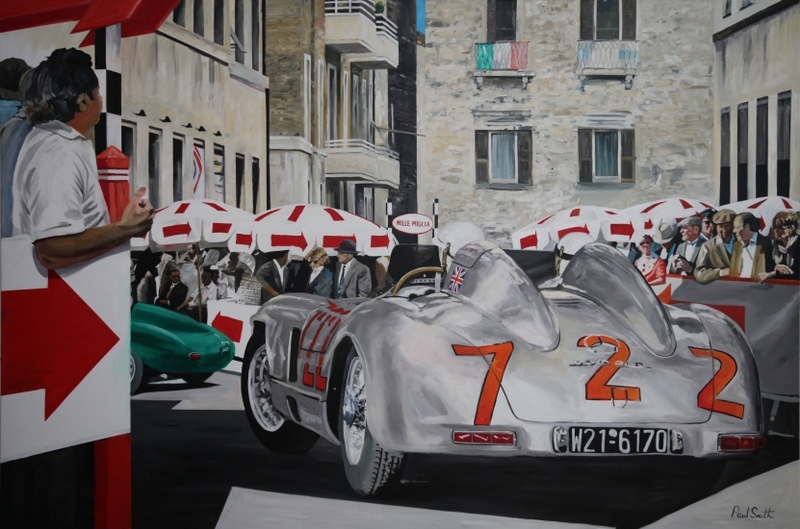 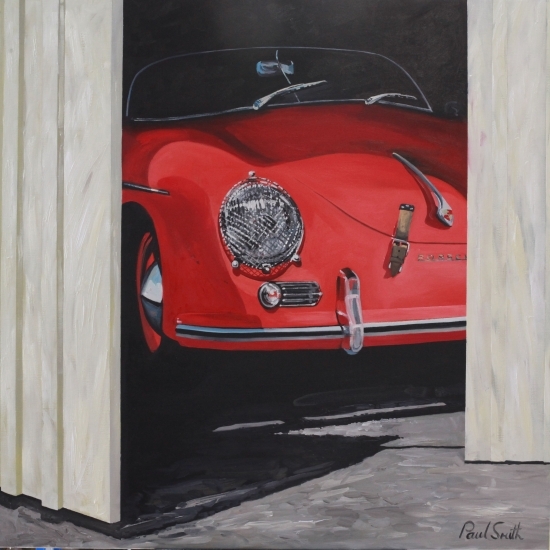 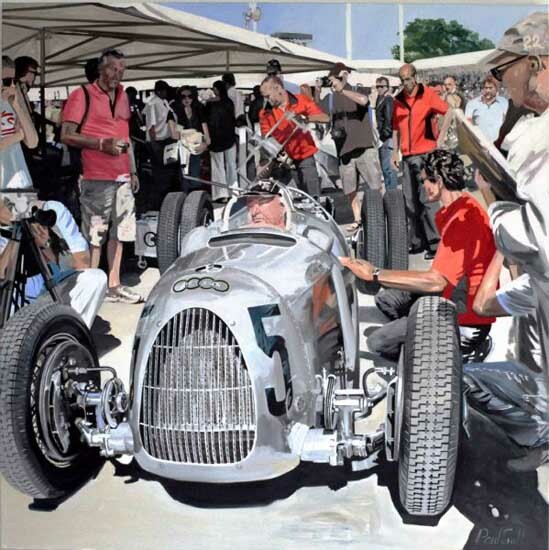 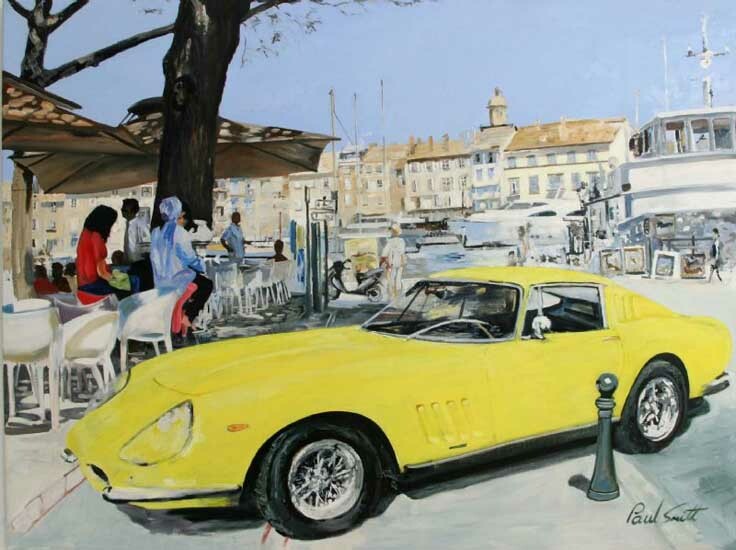 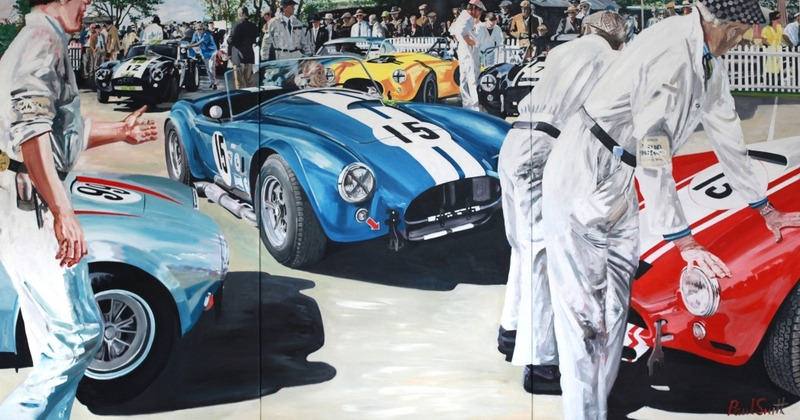 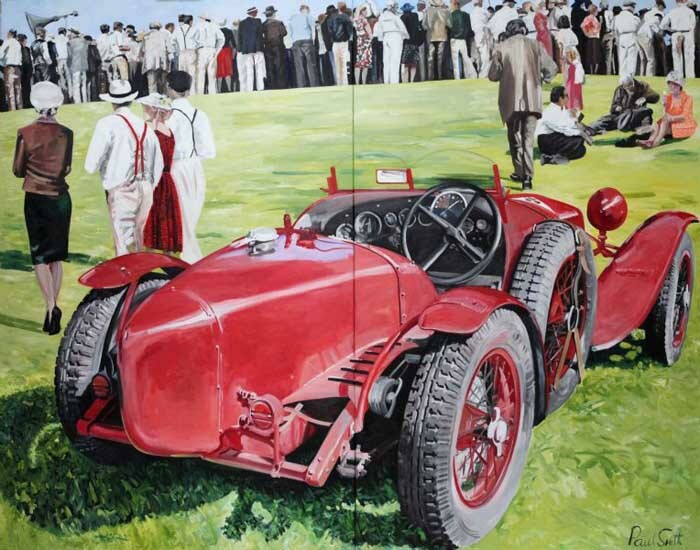 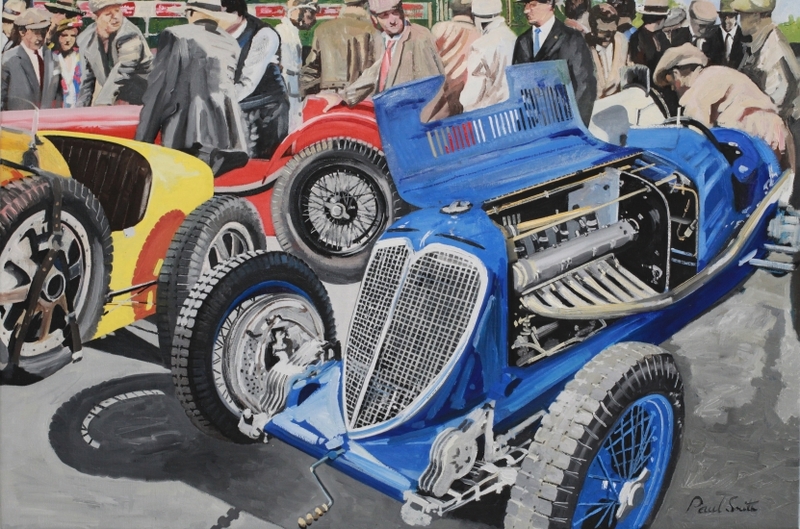 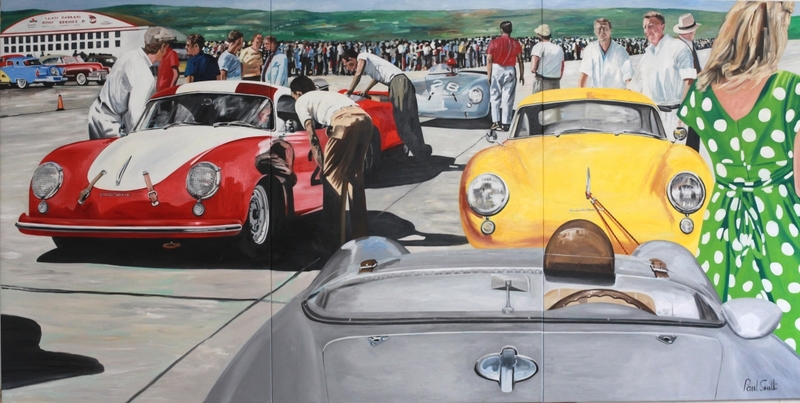 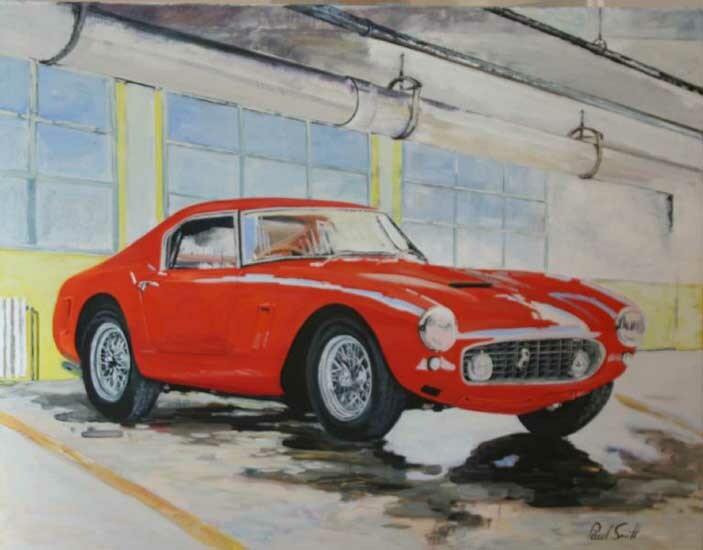 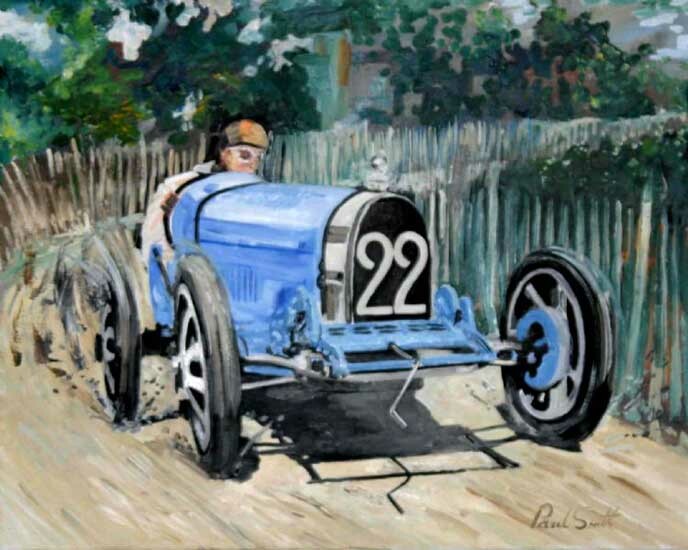 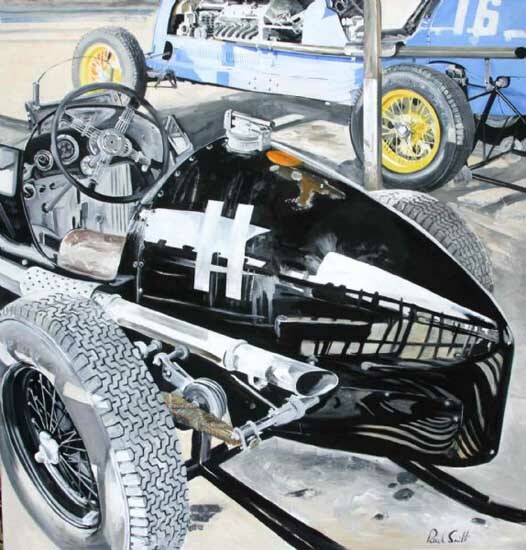 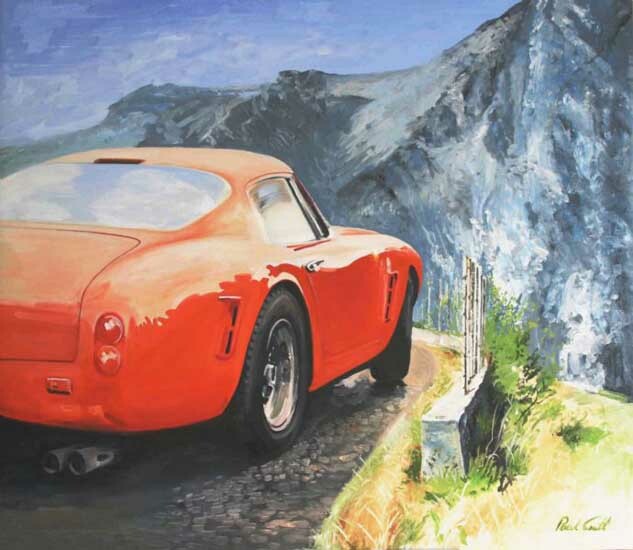 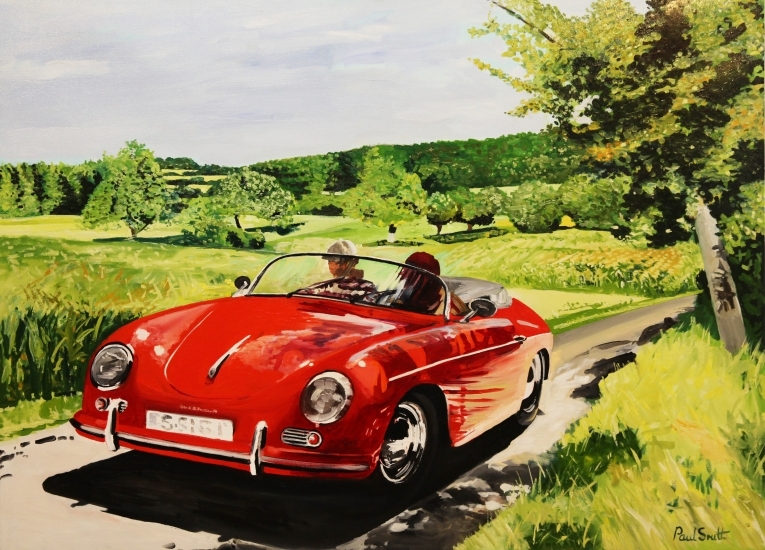 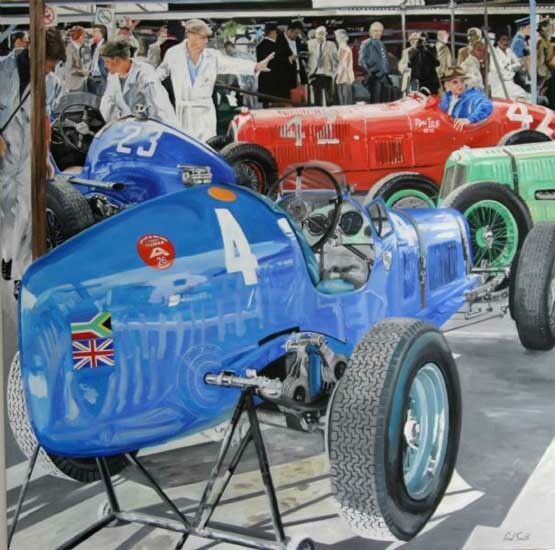 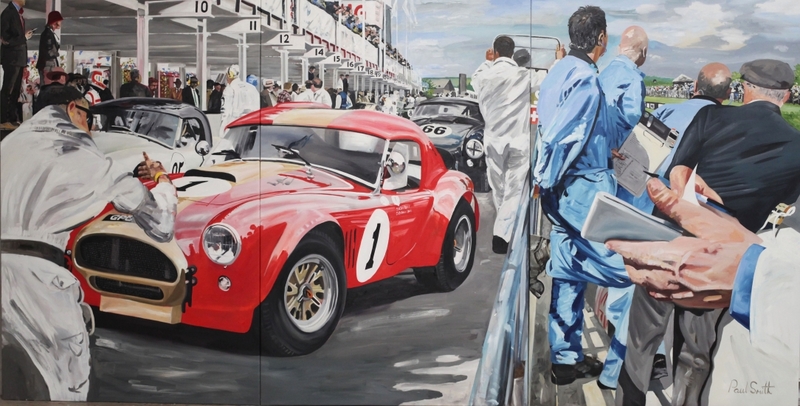 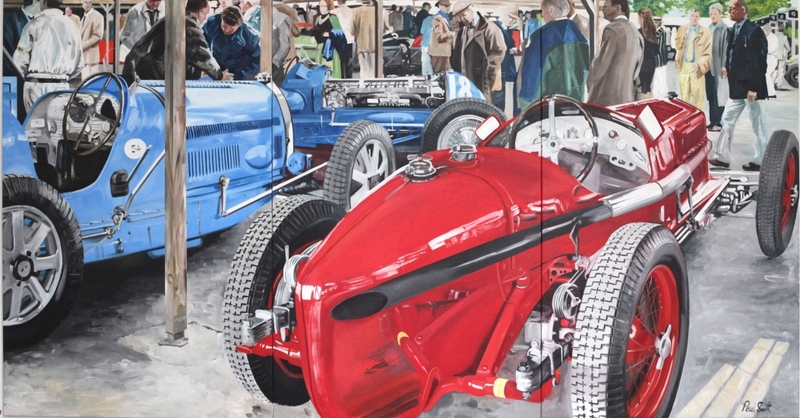 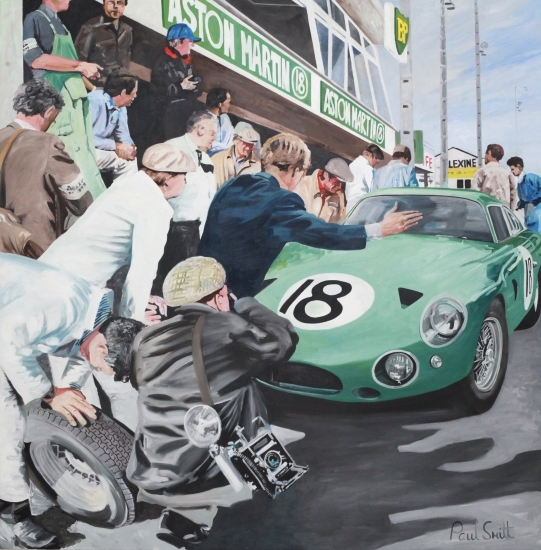 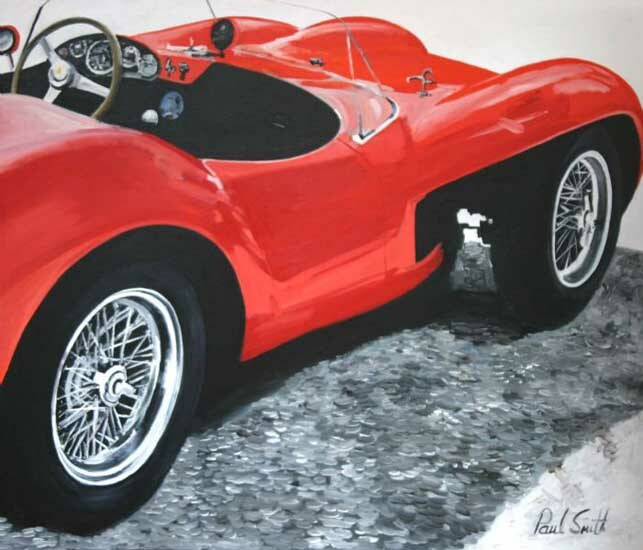 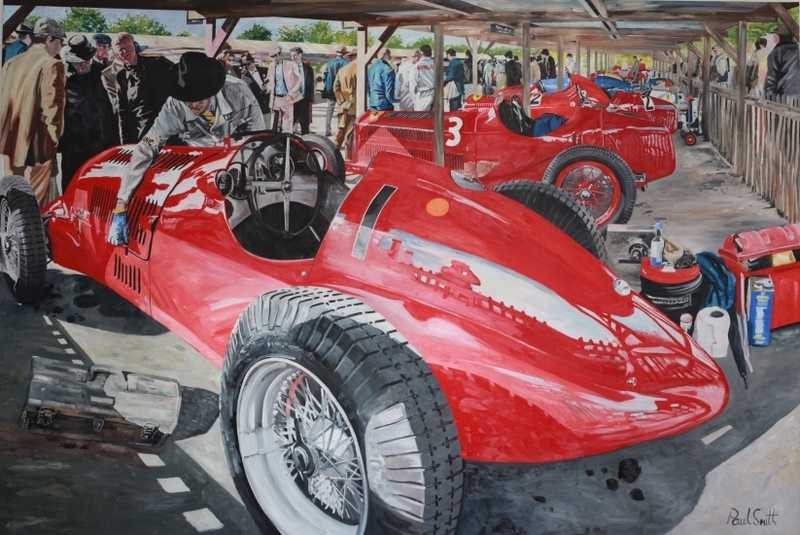 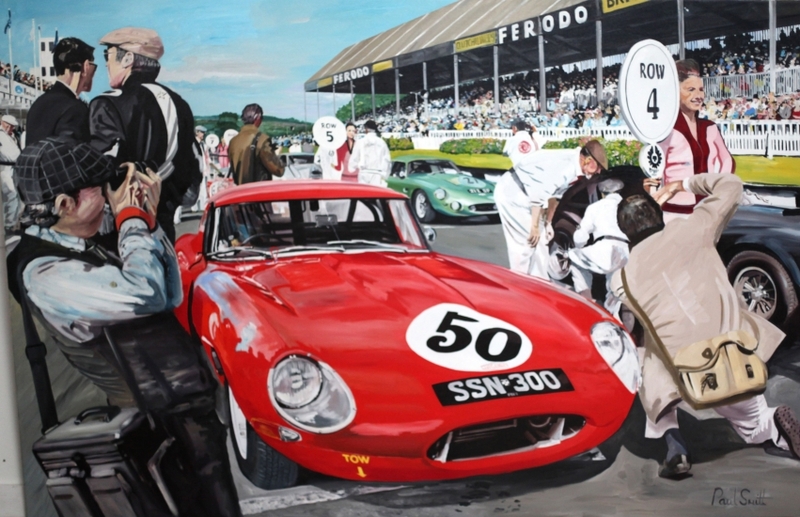 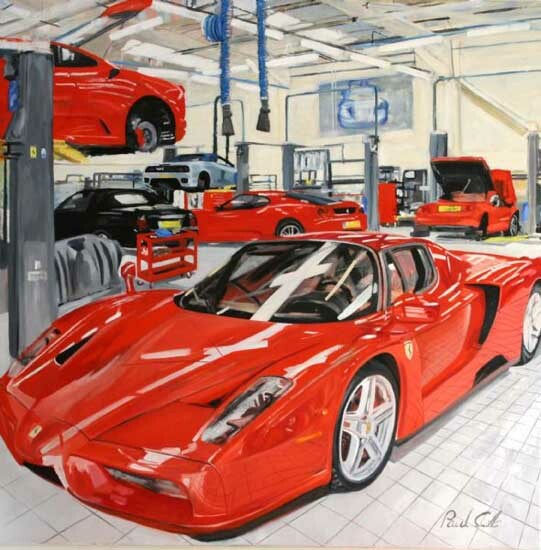 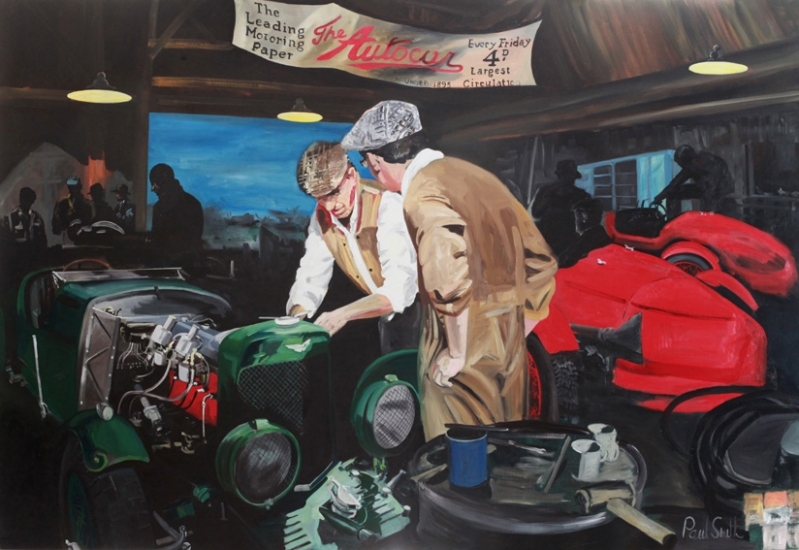 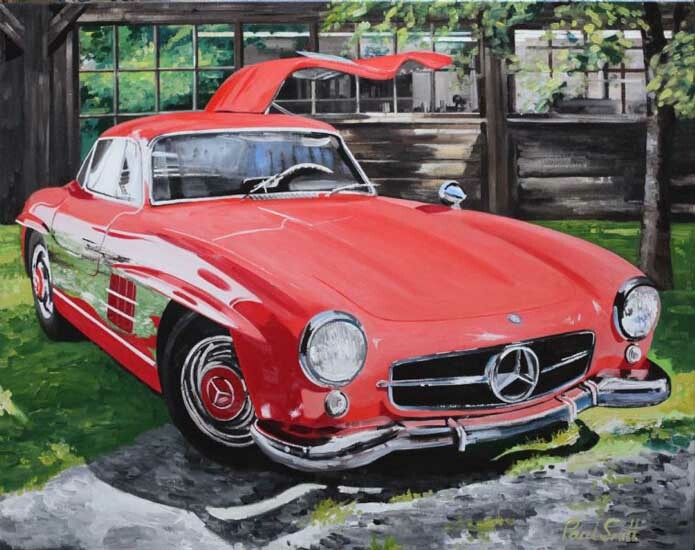 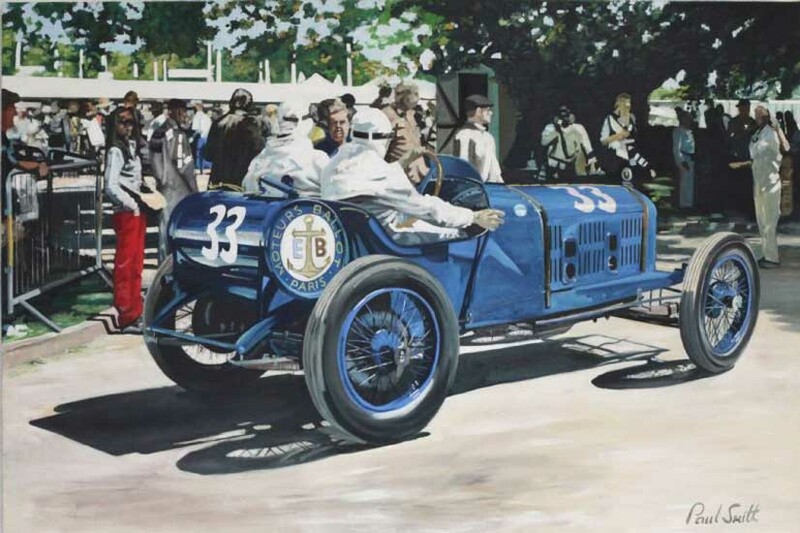 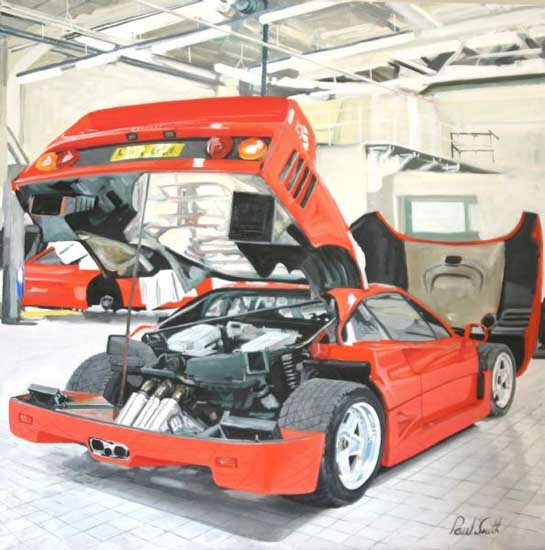 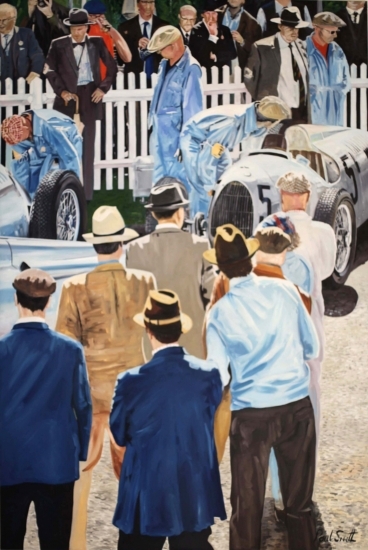 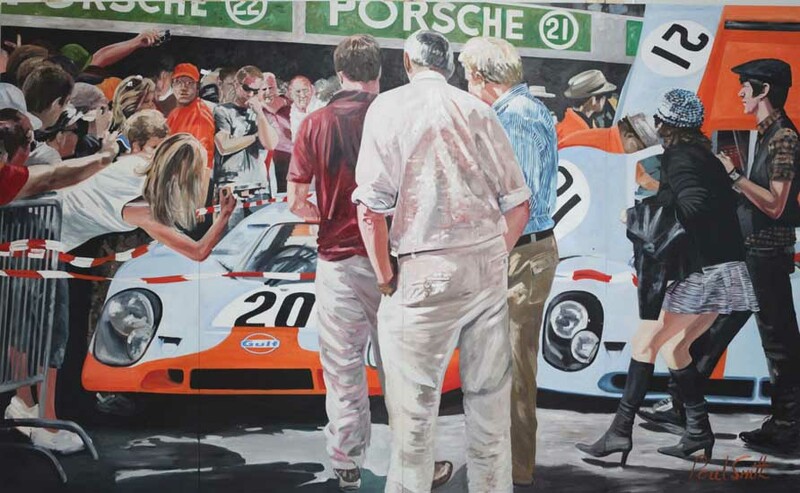 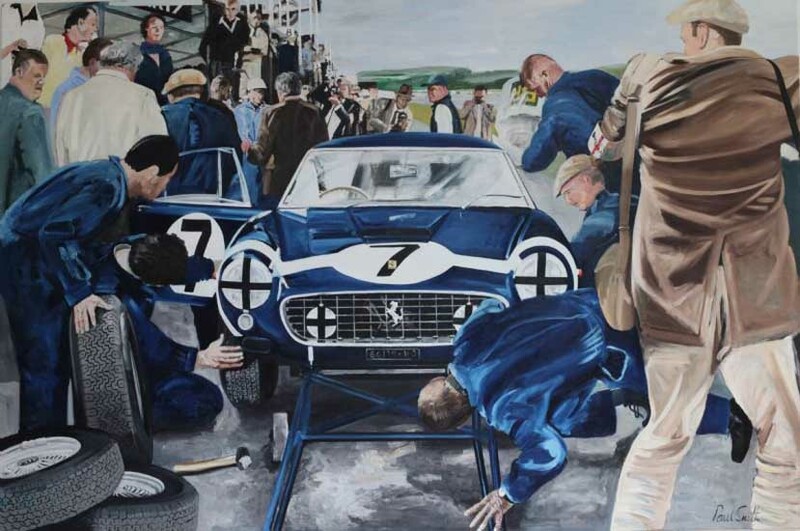 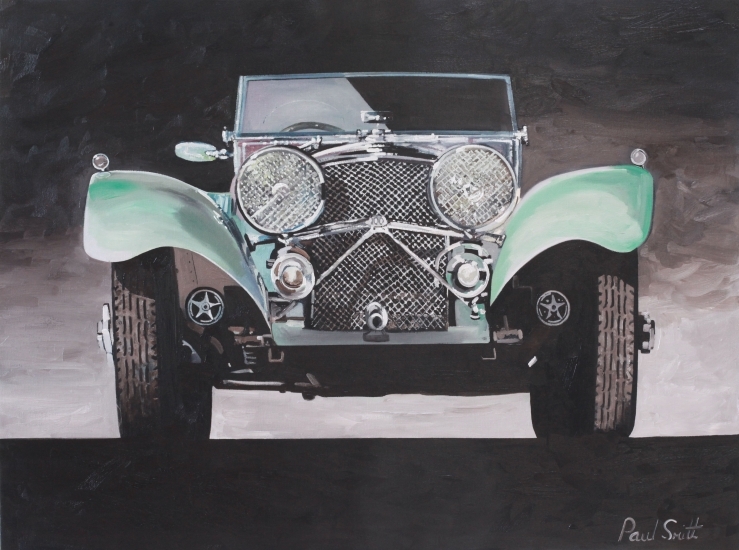 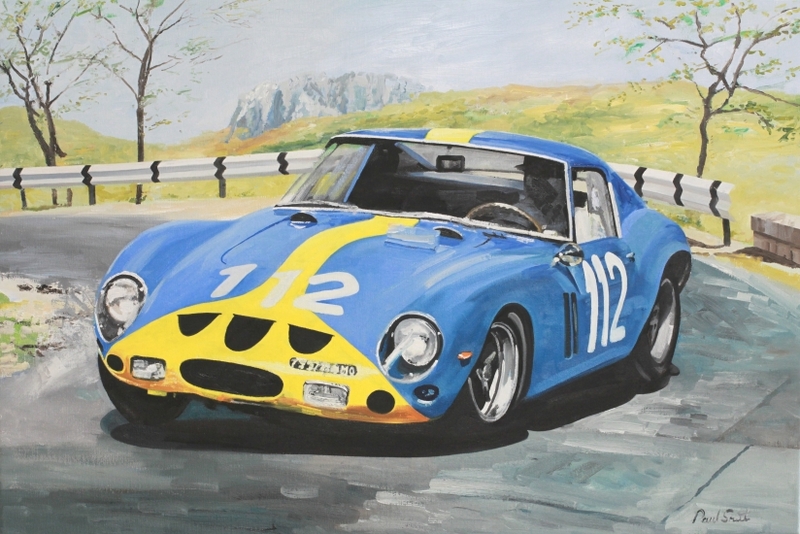 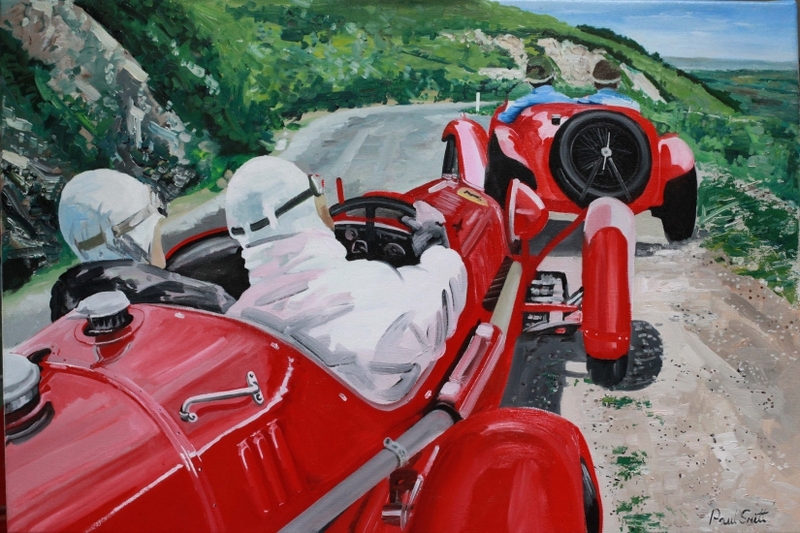 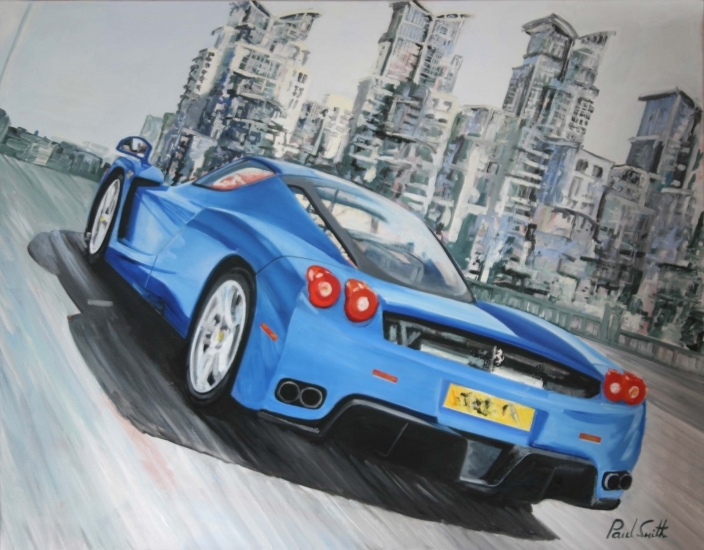 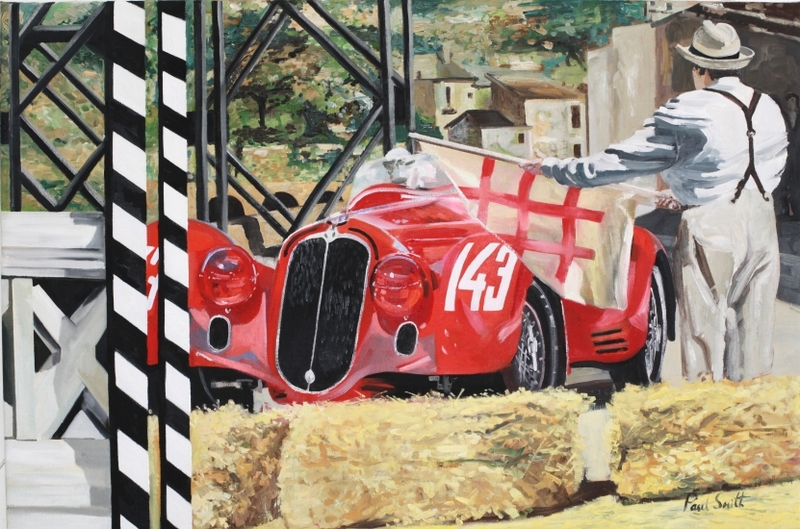 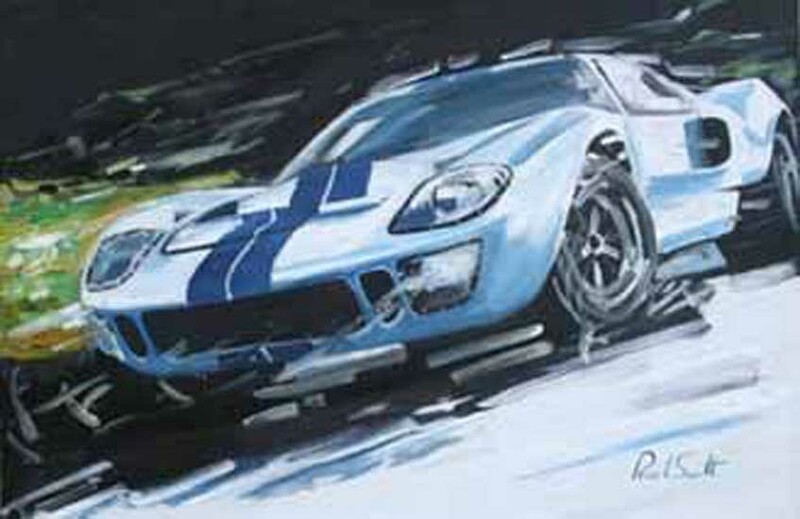 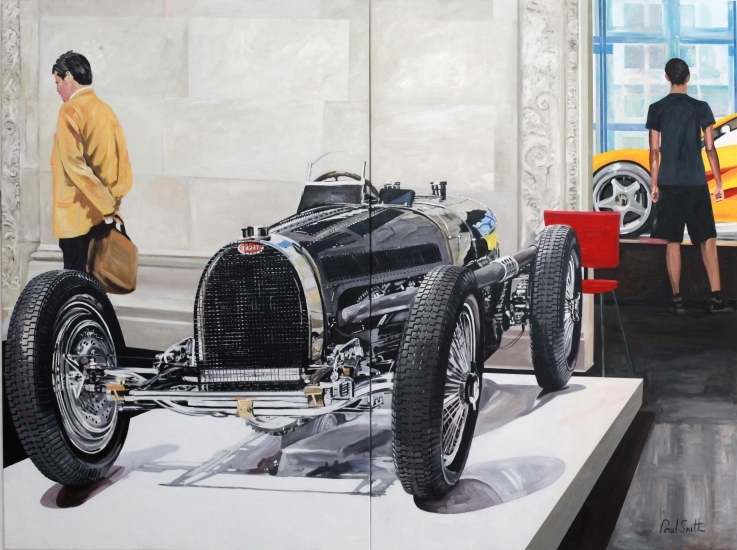 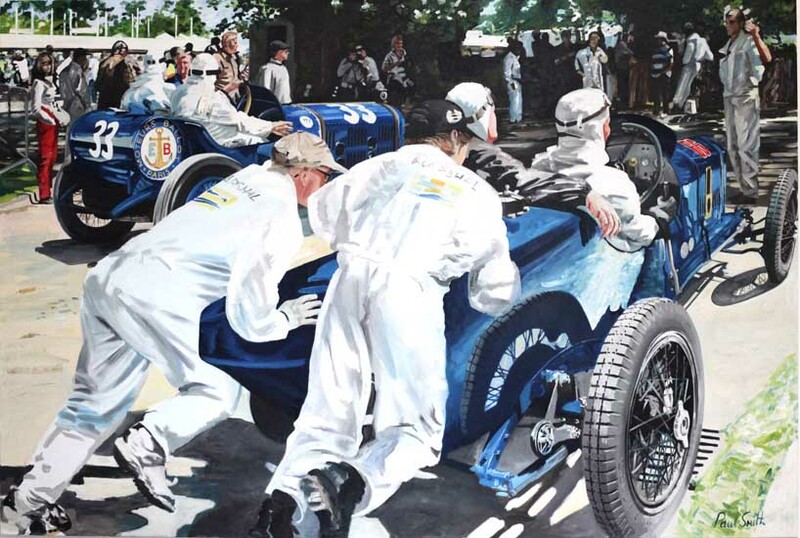 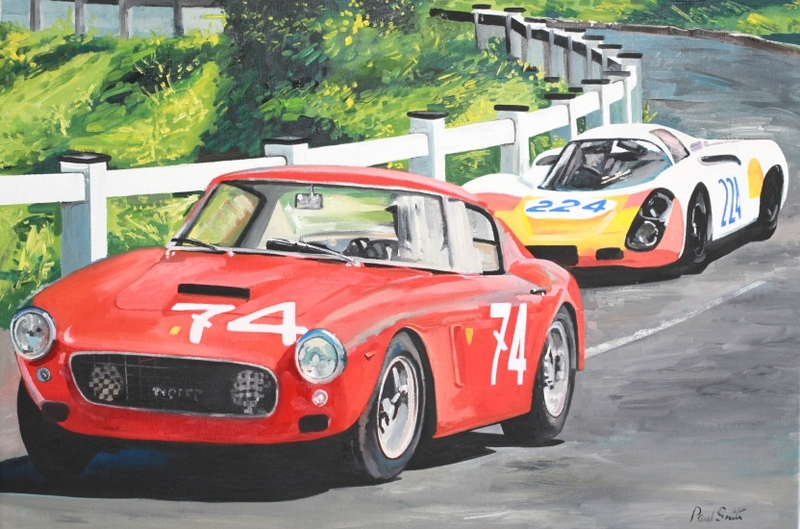 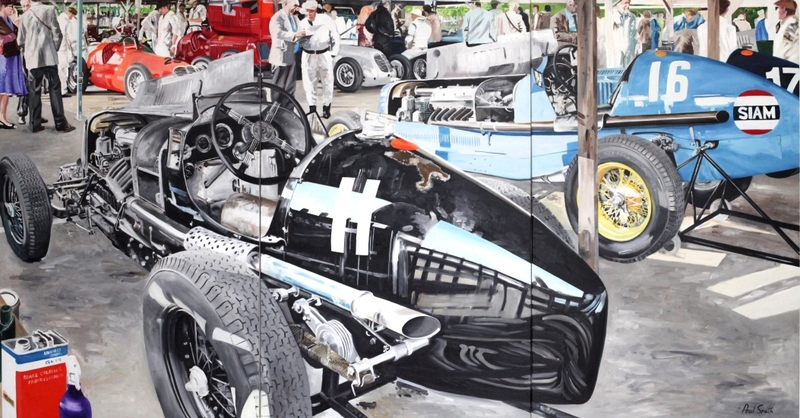 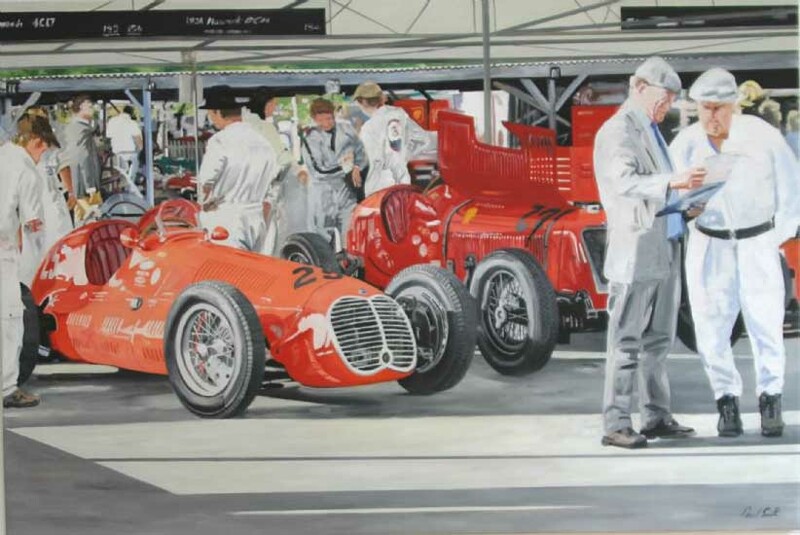 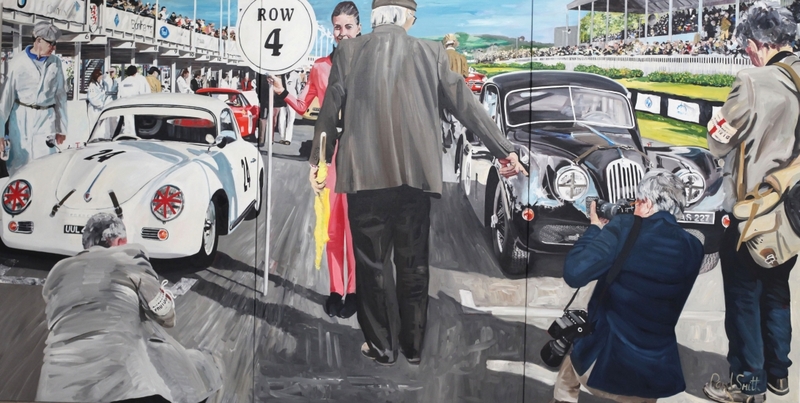 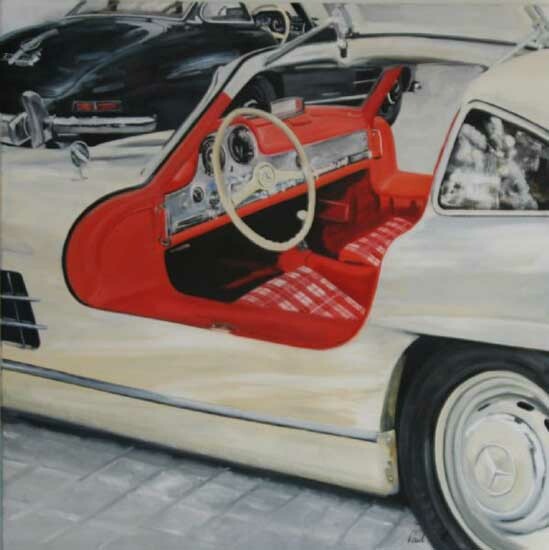 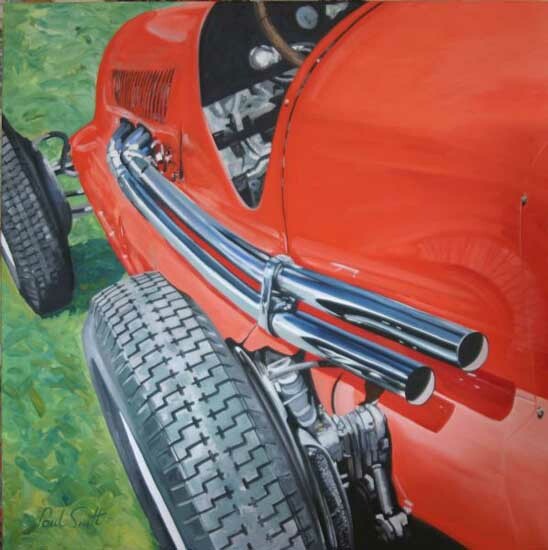 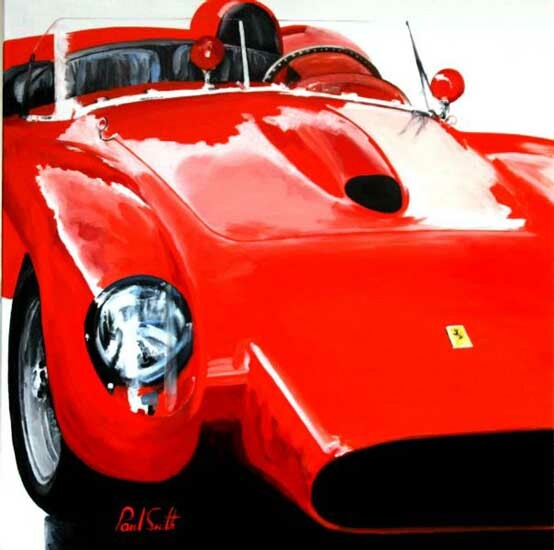 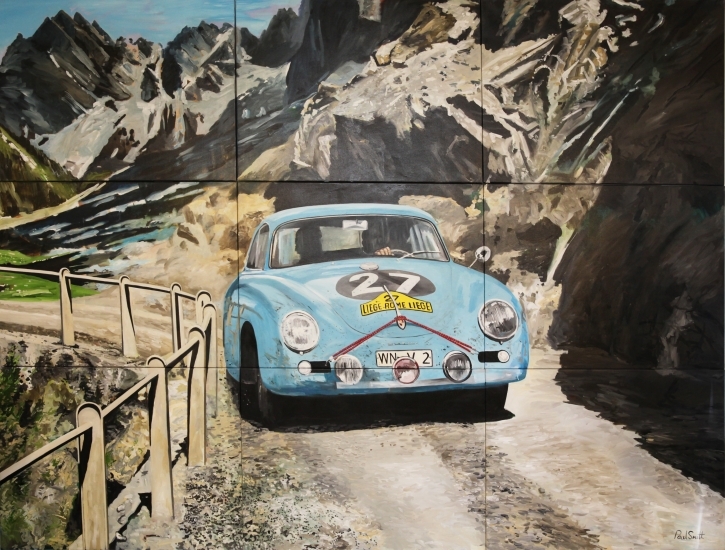 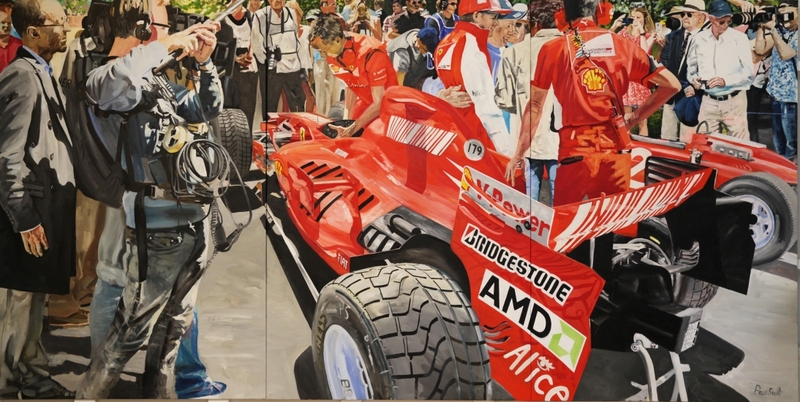 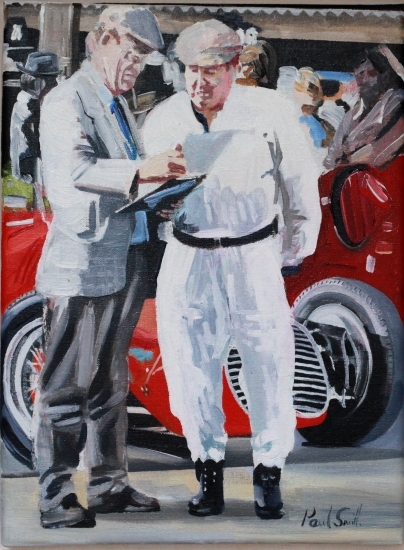 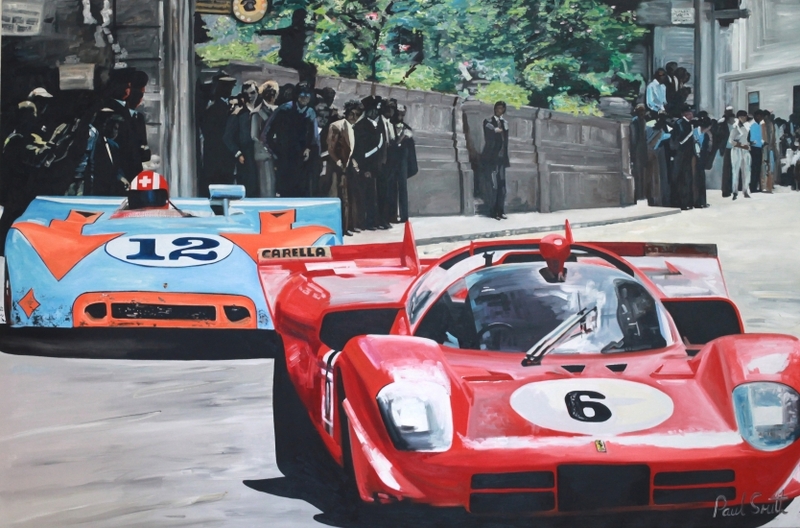 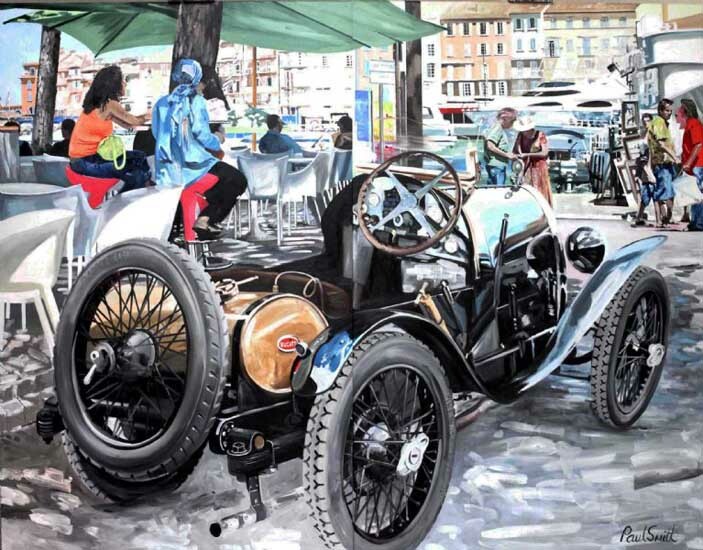 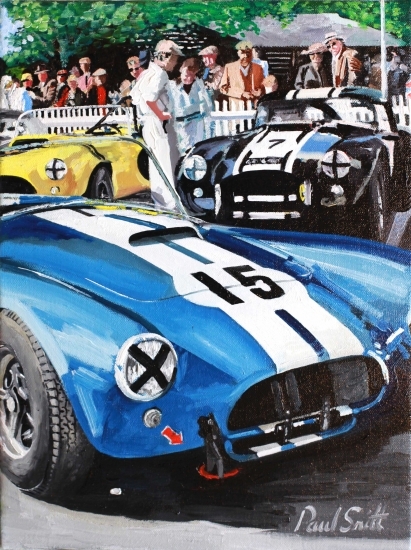 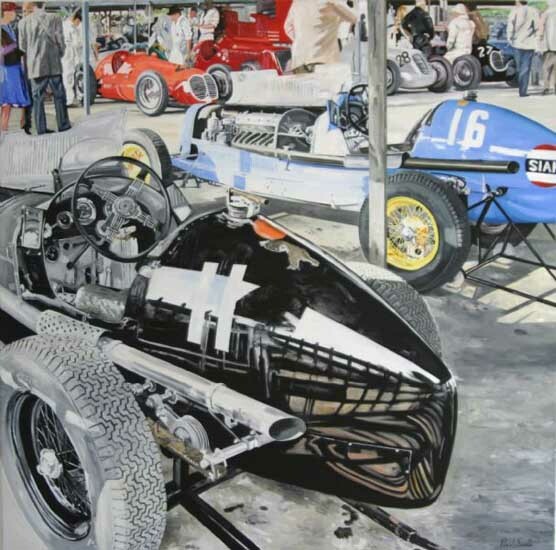 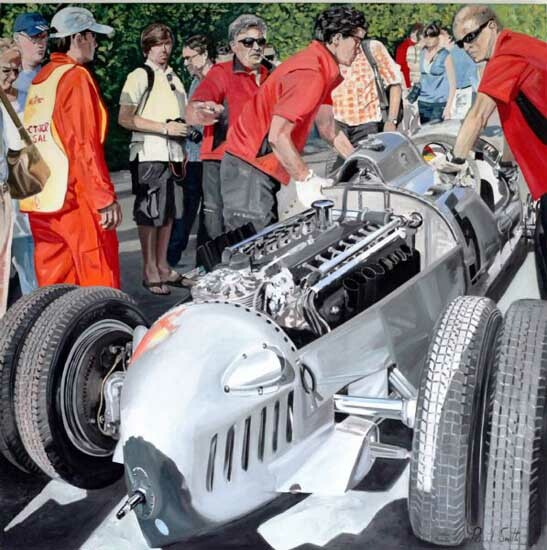 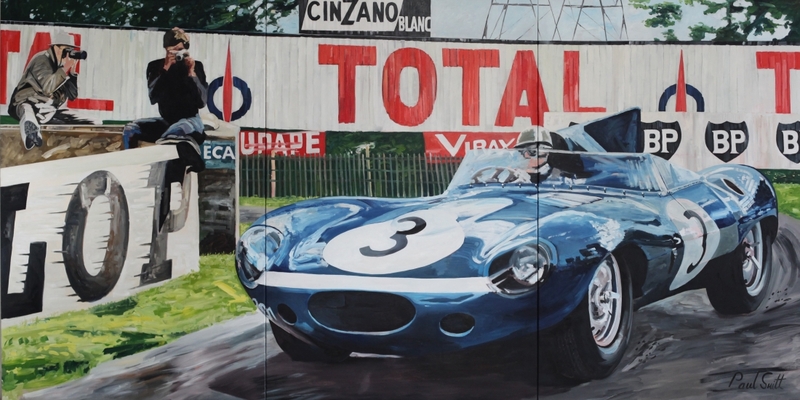 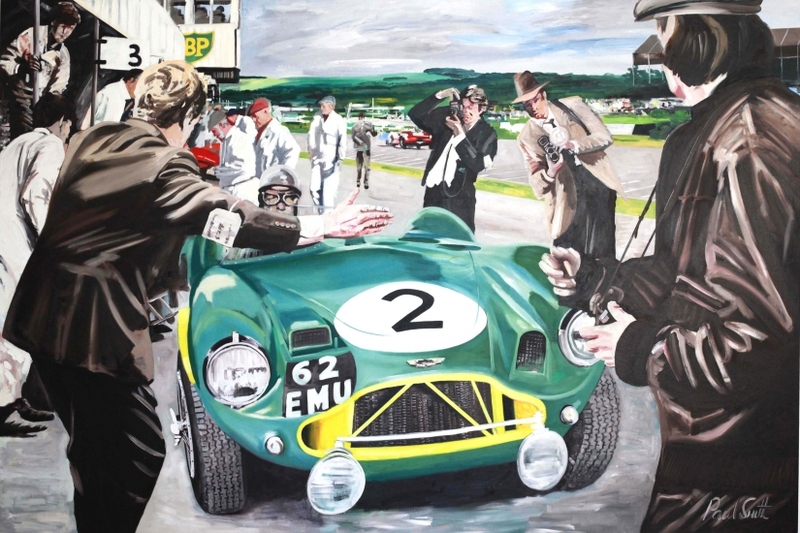 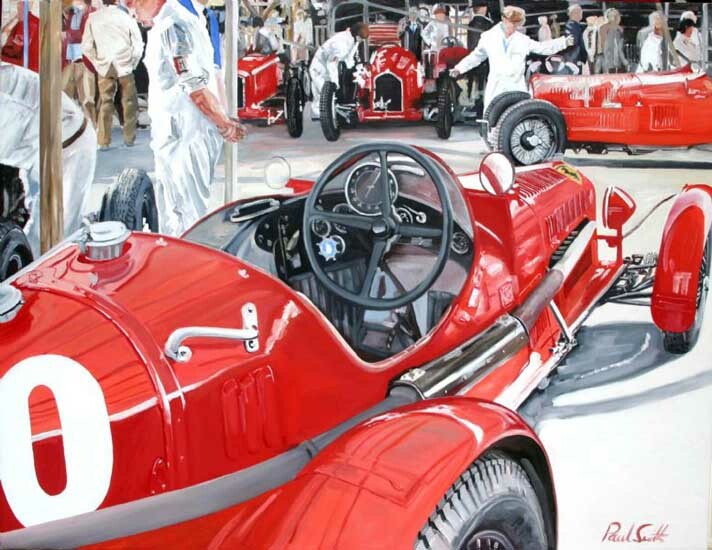 I have been interested in classic cars since the 1970's, I very much like to paint scenes from the famous races Le Mans, Mille Miglia, Targa Florio, Monza, Monaco, Goodwood, it is a very long list and then all different car name Porsche, Ferrari, Maserati, Aston Martin, Jaguar. 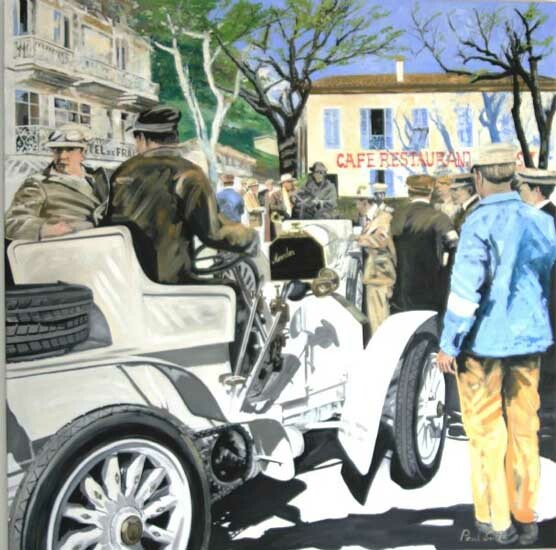 I start a painting with an idea of what it should say, of what of atmosphere I am intending paint. 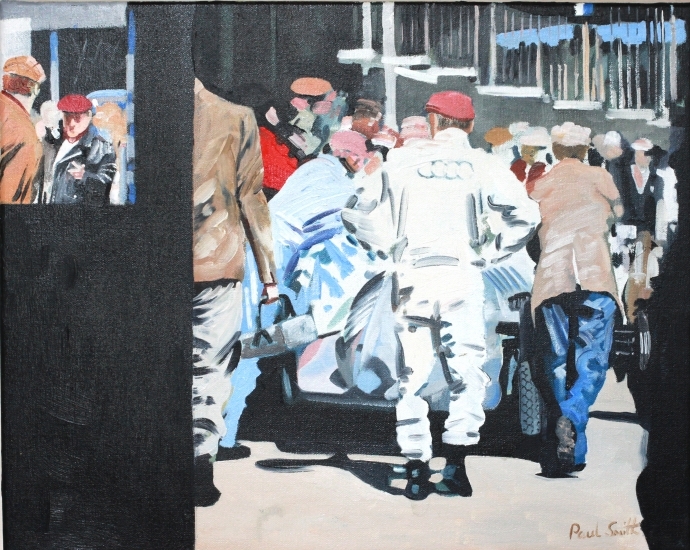 I try to tell a story, to have some narrative to it, the people that are often in my painting need to be doing something connected with the scene and make it believable. 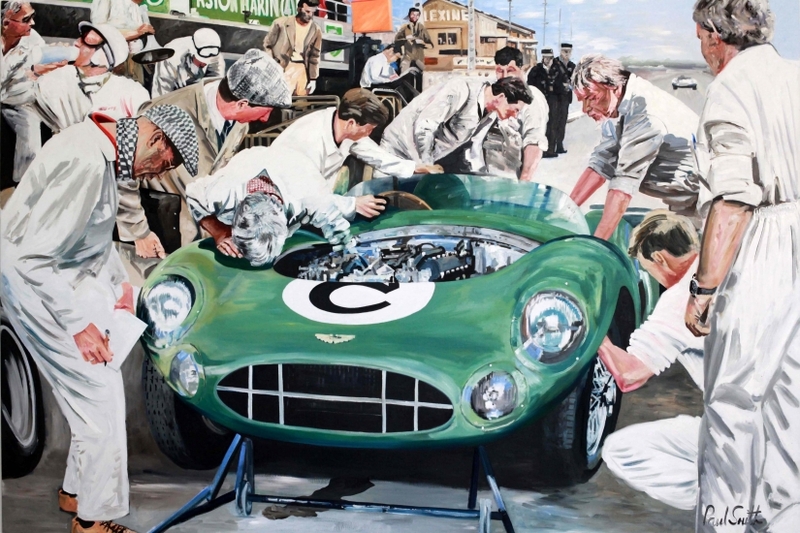 This is the hard part of creating a successes painting, and can take almost as long to finalise as the actual painting the oil paint on canvas. 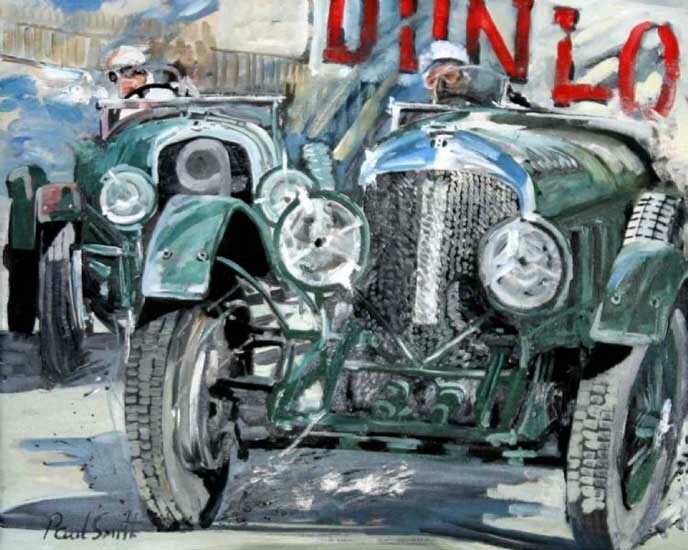 it is only when I am sure of the layout of the painting sketches completed that I start on the painting itself. 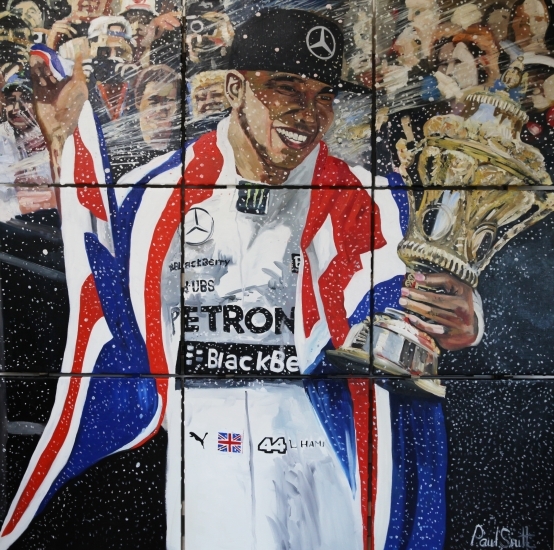 All my canvasses I put together myself, which is part of what I have to do, I then transfer the sketches onto the canvas with charcoal. 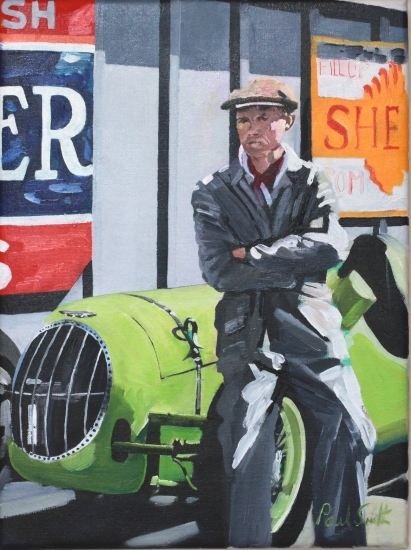 I mostly start in the top left-hand corner and work across the painting until I get to the bottom right-hand corner. 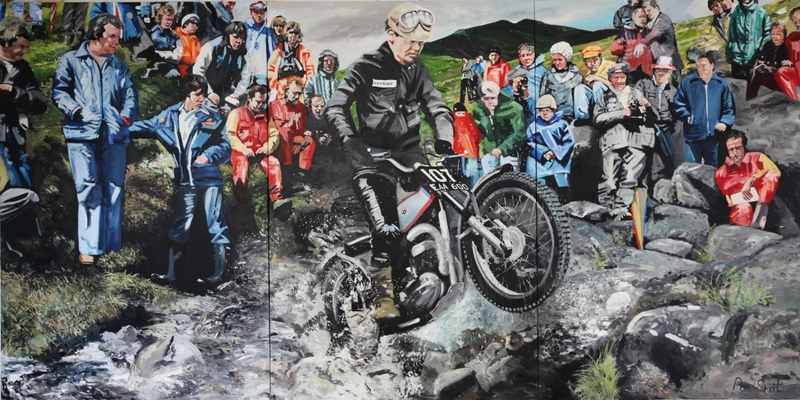 After the first session I can usually tell if it going to work and if I am happy with the layout, mostly at this stage I move some areas around make some area more dramatic. 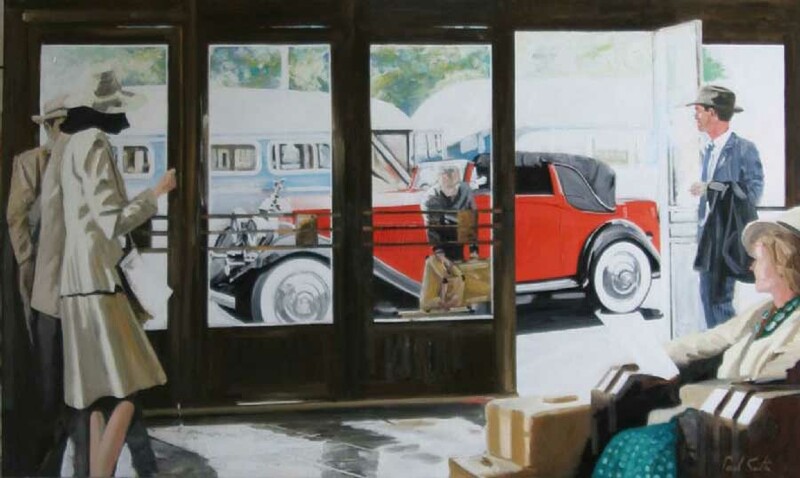 I work on a painting for two or three weeks, and it’s only in the last final few days that it start to look like a finished painting. 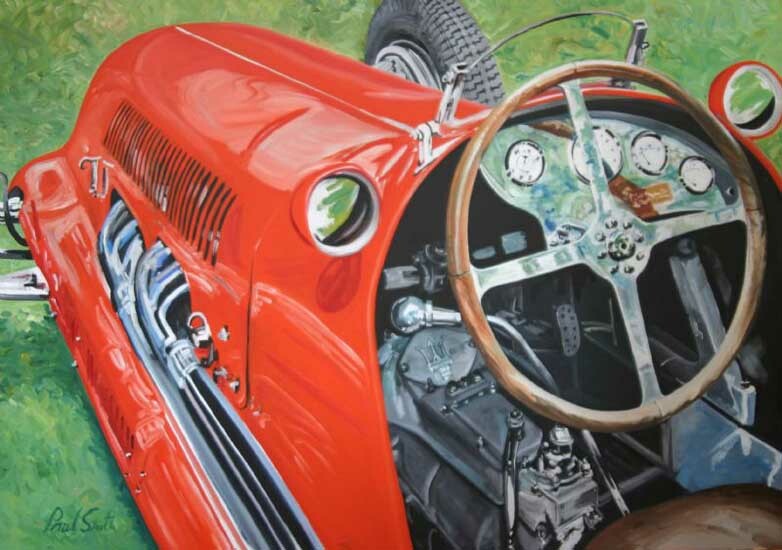 I prefer a larger size canvas, it a fantastic feeling when after a hard working on a painting, and I am just going to sleep, and I cannot wait to get up in the morning to get back in my studio to work again on the painting.